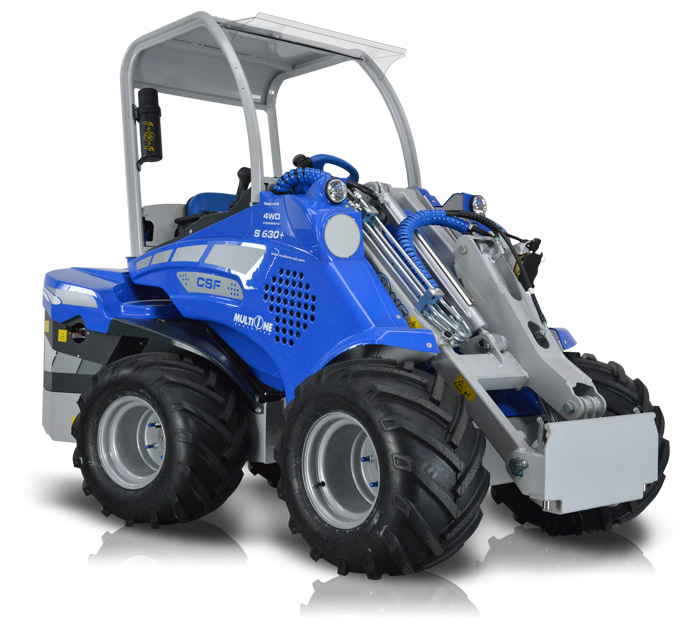 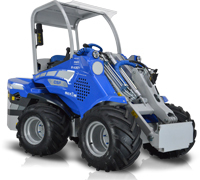 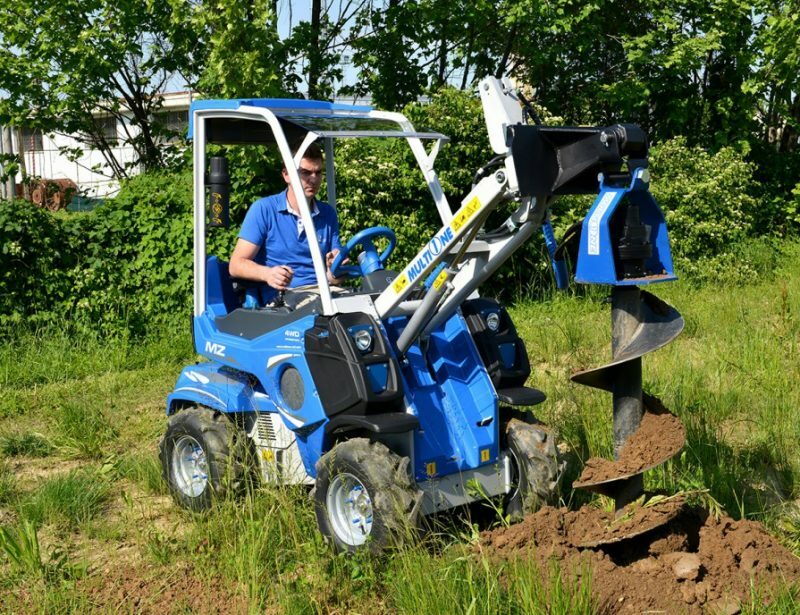 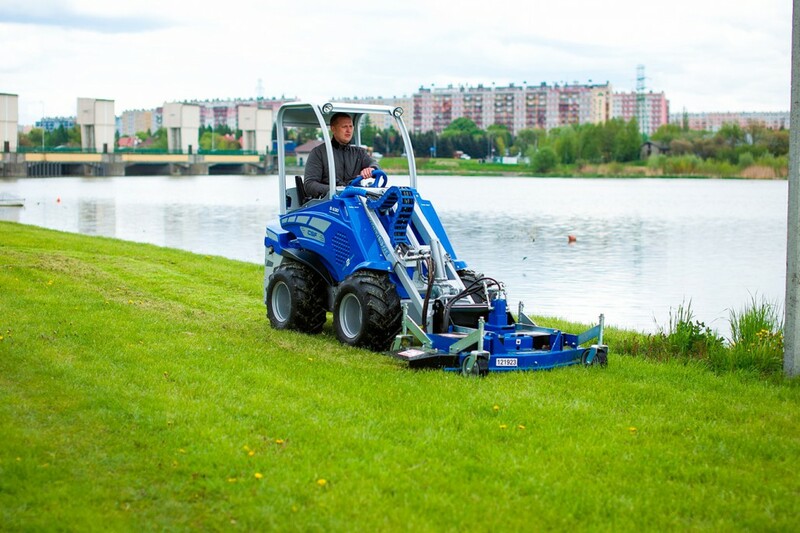 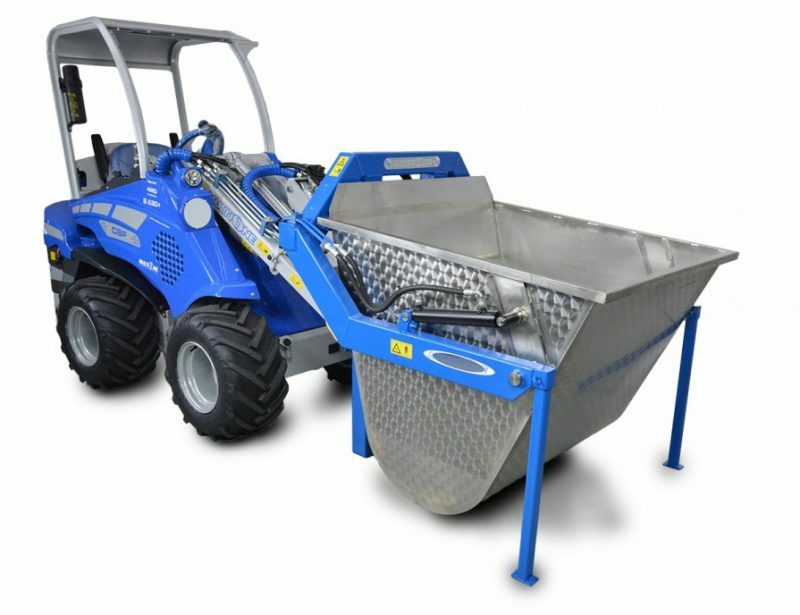 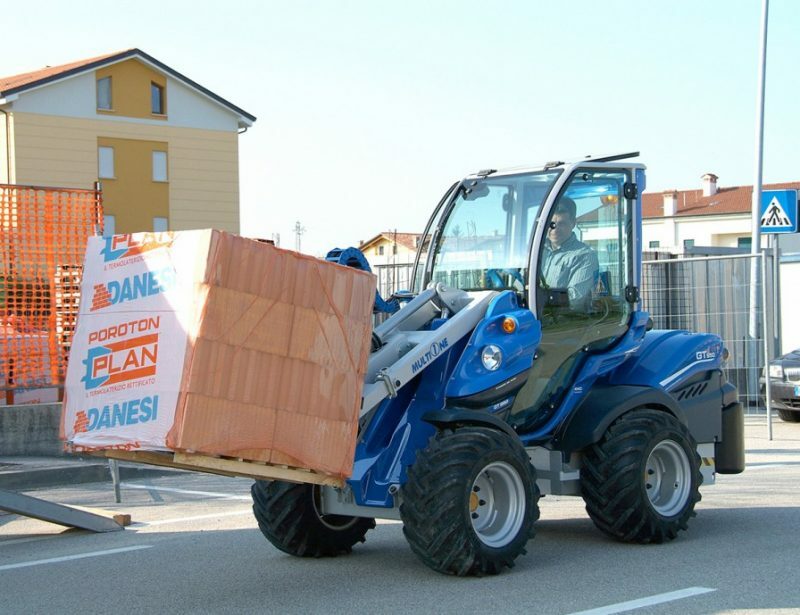 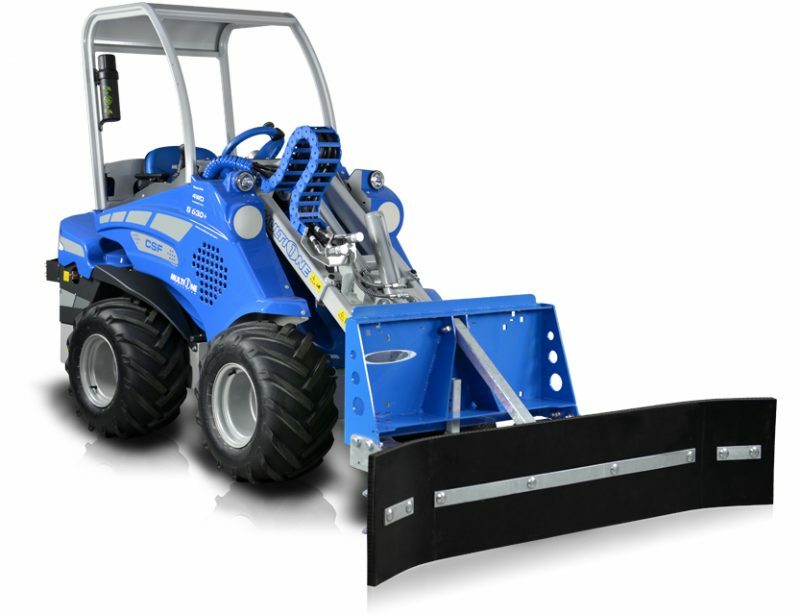 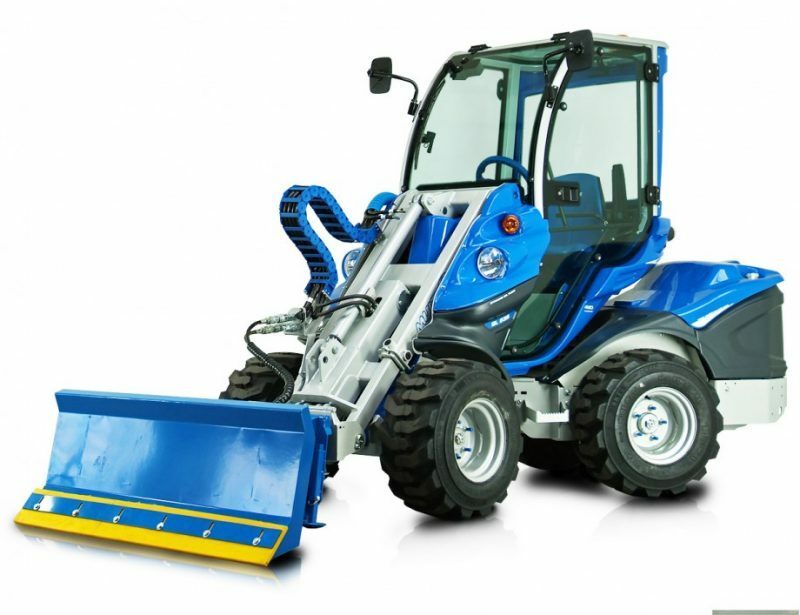 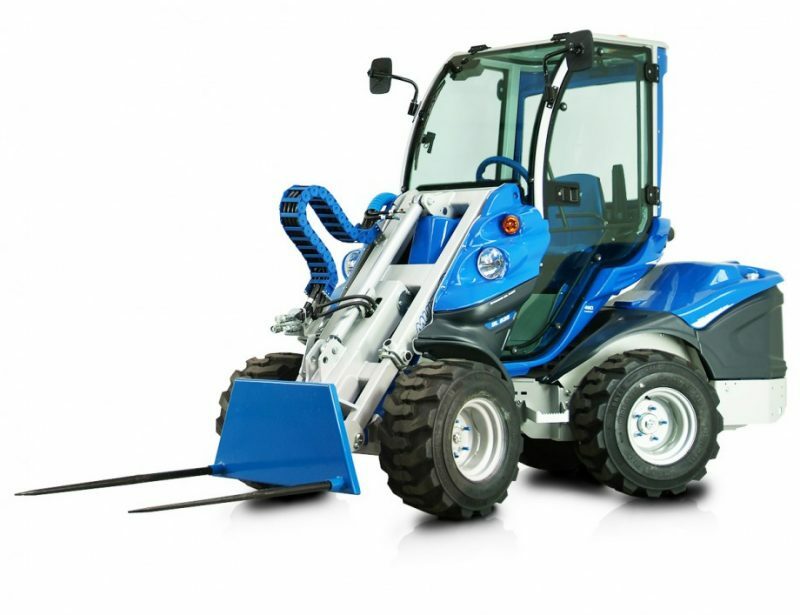 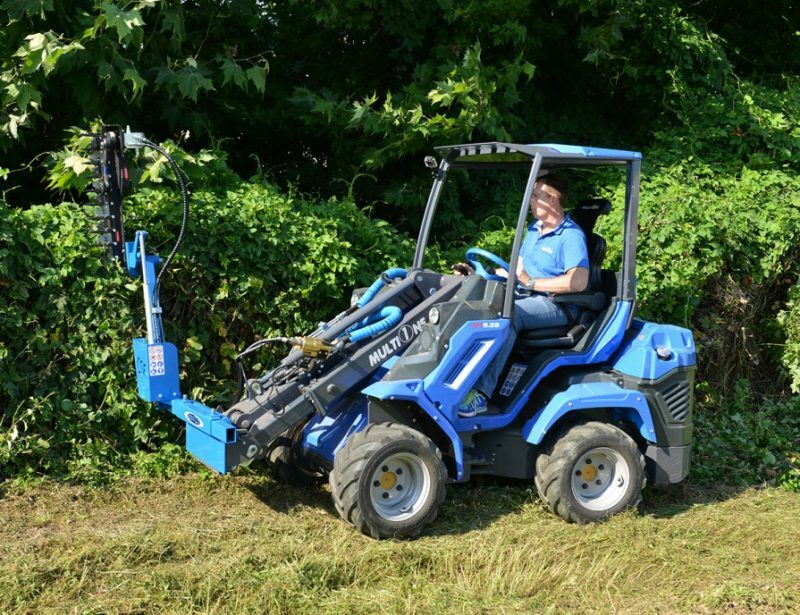 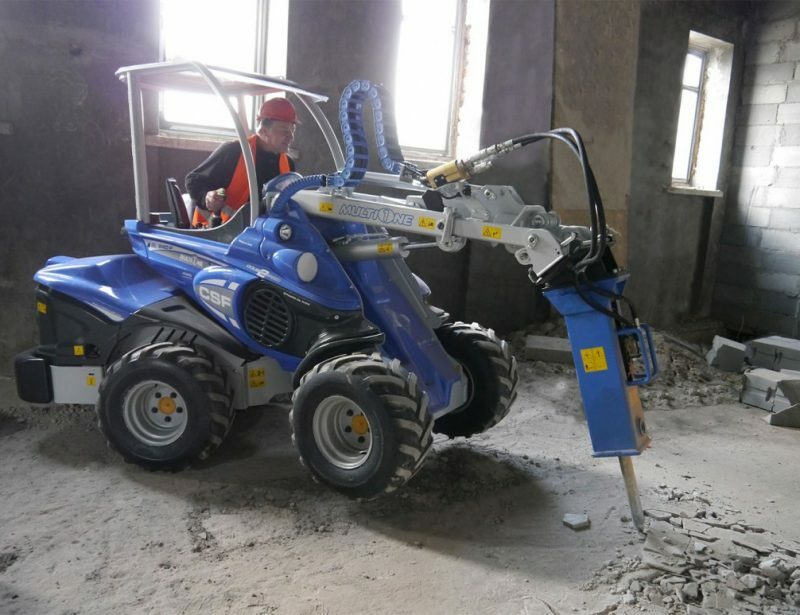 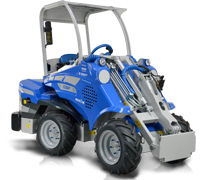 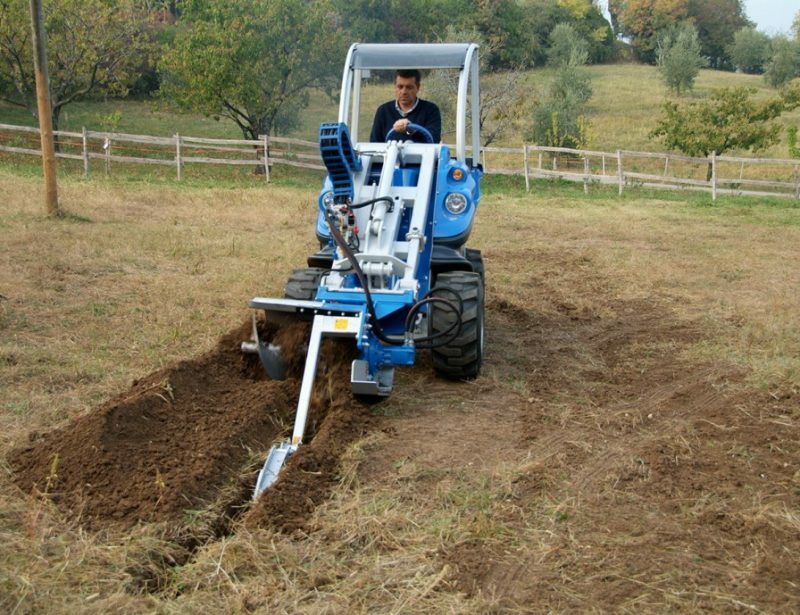 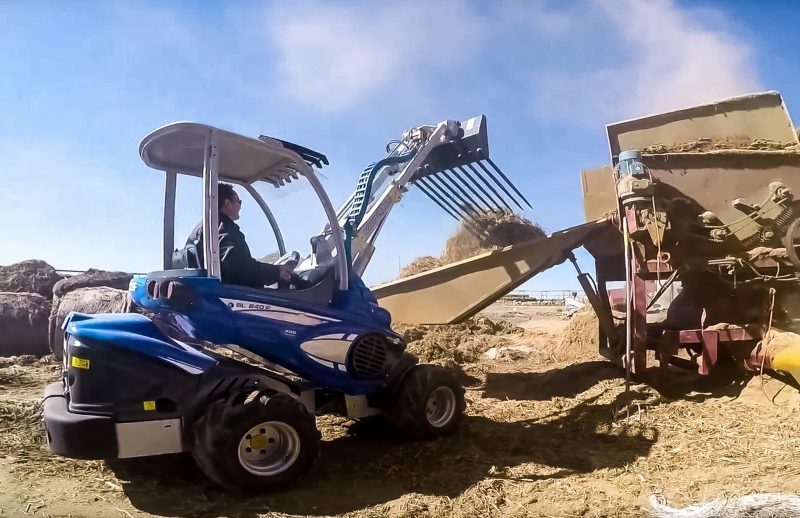 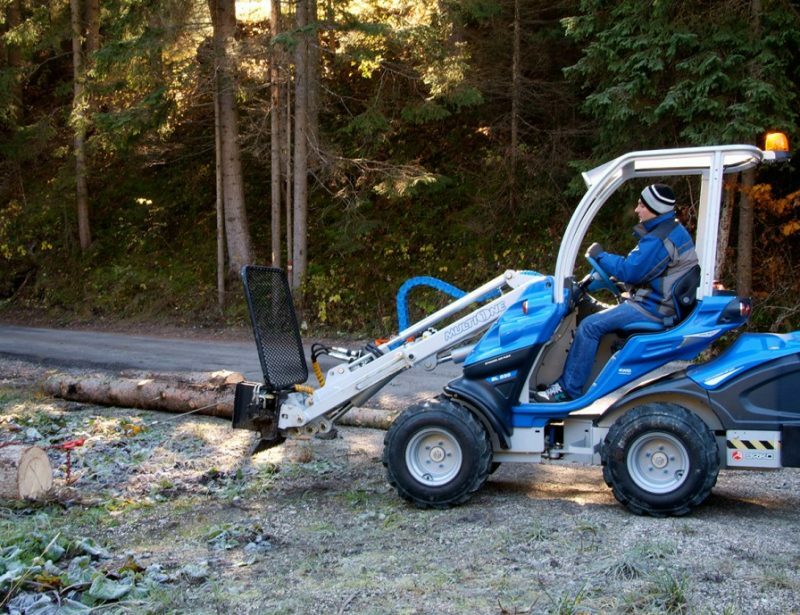 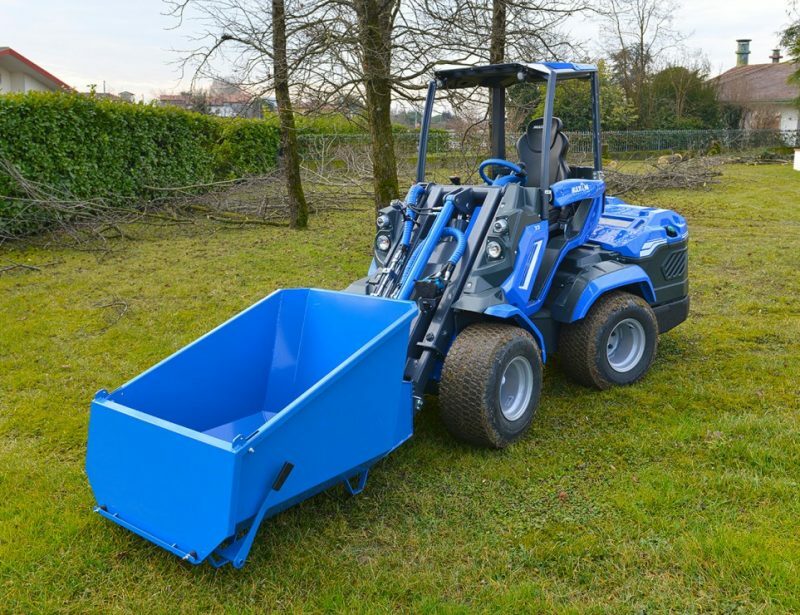 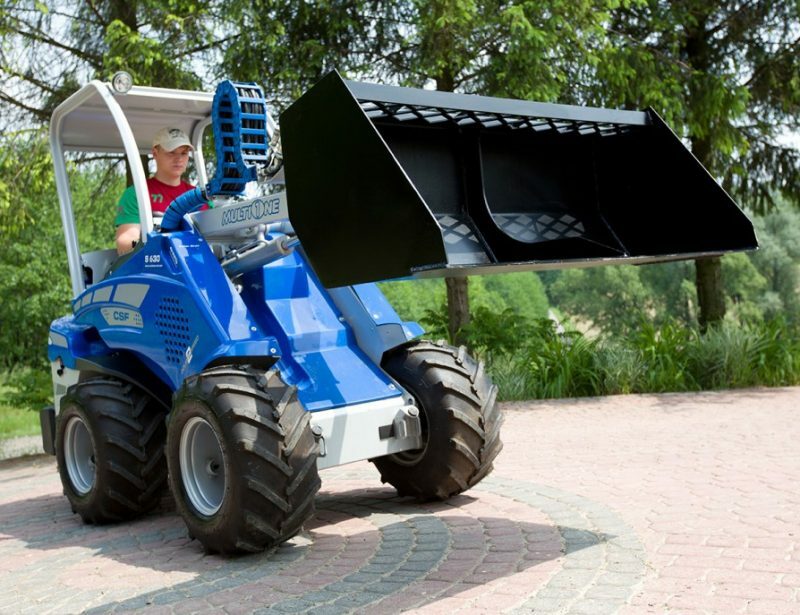 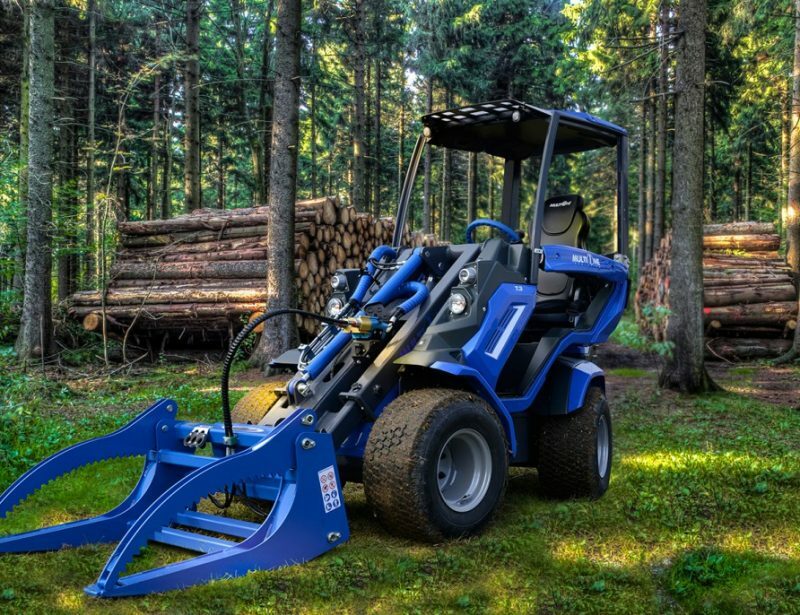 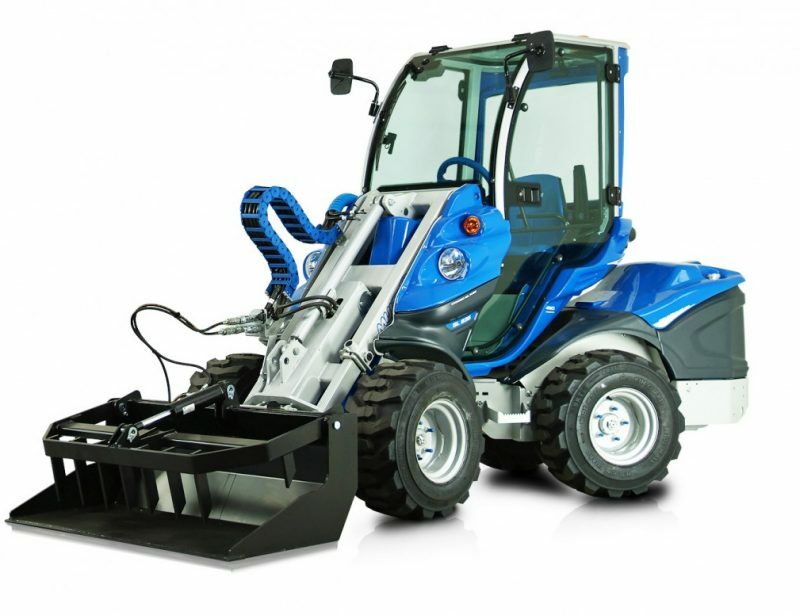 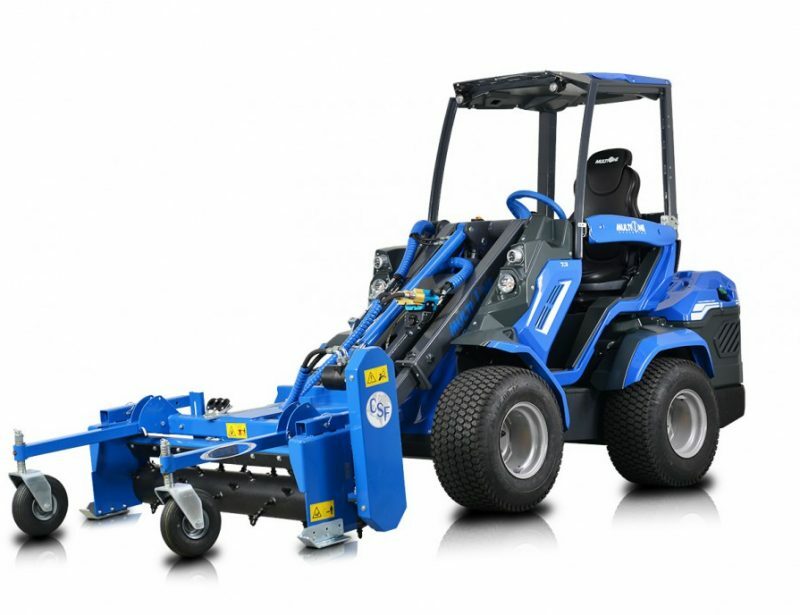 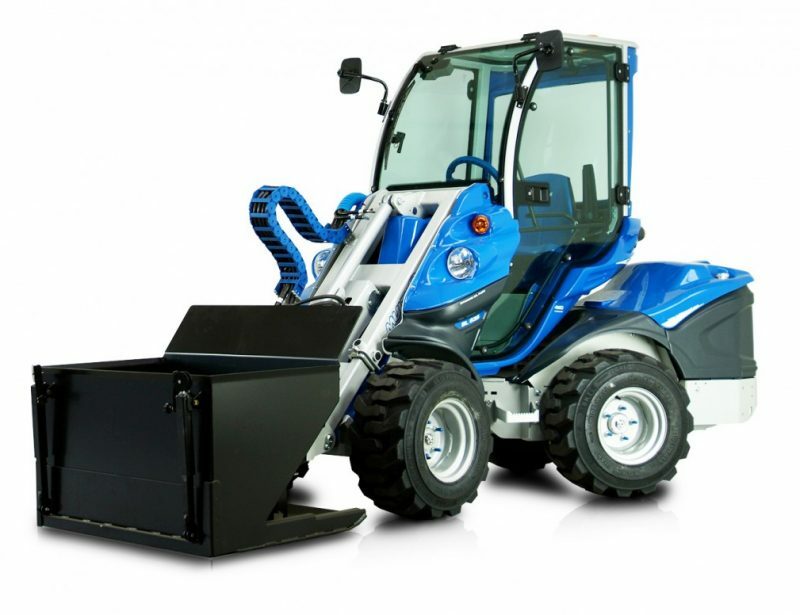 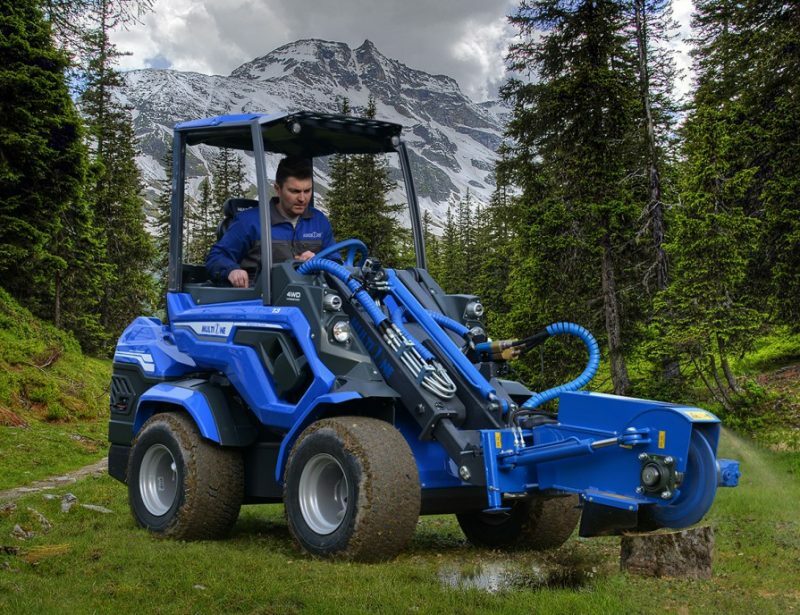 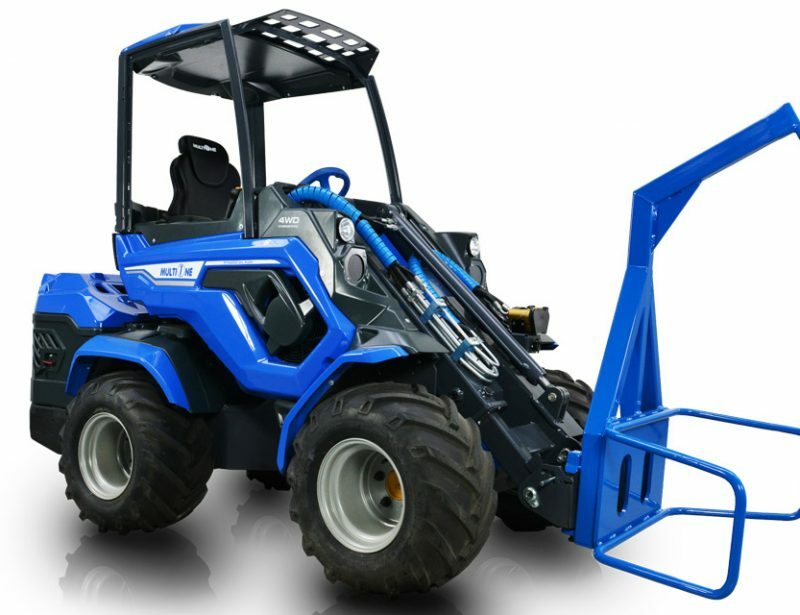 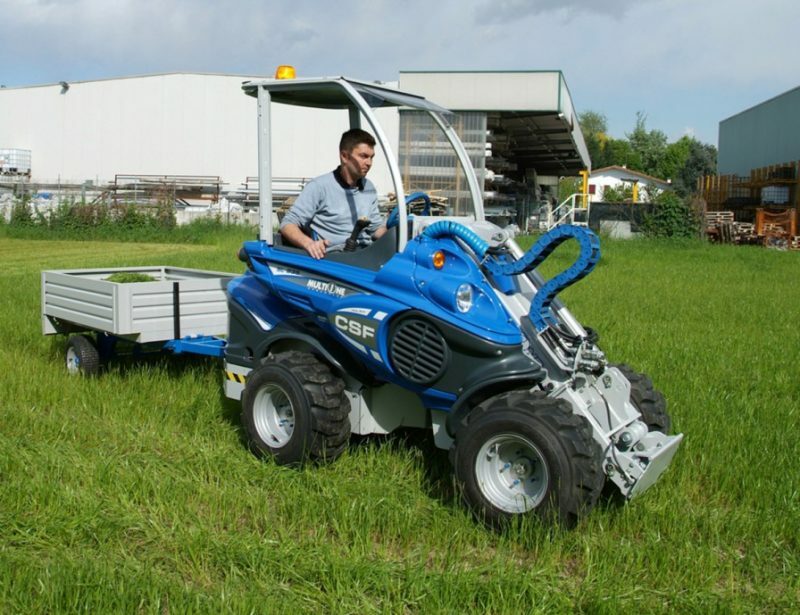 The MultiOne 5 Series may be a line of mini loaders, but they more closely resemble Swiss Army knives thanks to a wide range of attachments that can put them to work doing anything from construction to landscaping. 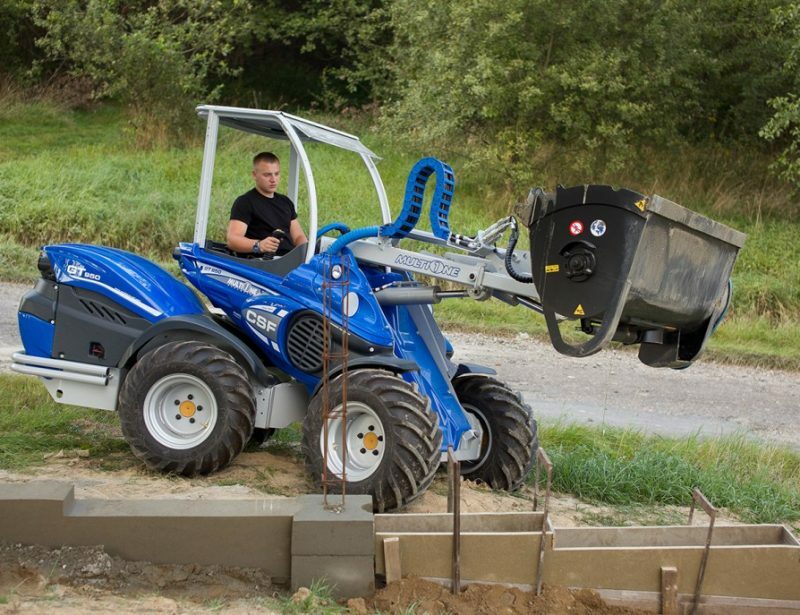 A compact design and swiveling two-piece frame lets these loaders get into the tightest spaces, while hydrostatic four-wheel drive makes working on tough terrain a breeze. 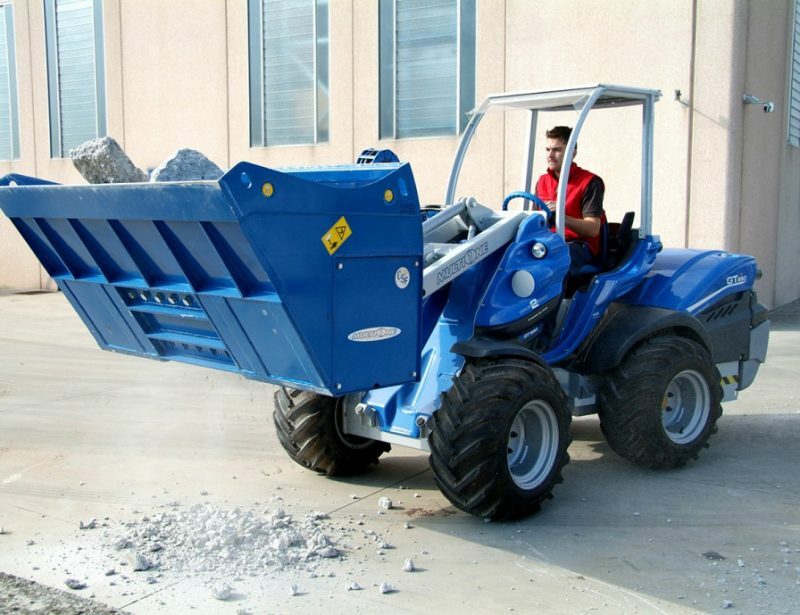 Add in a tipping load in excess of 2,200 lbs. 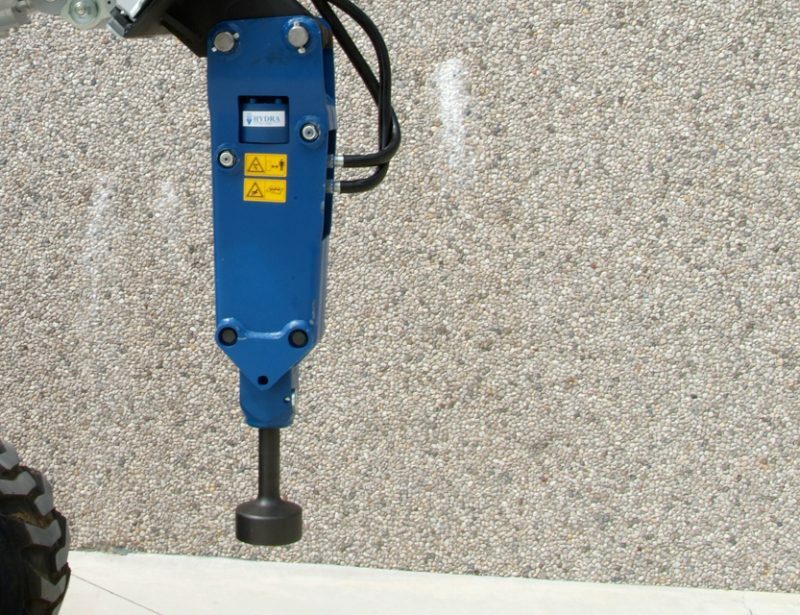 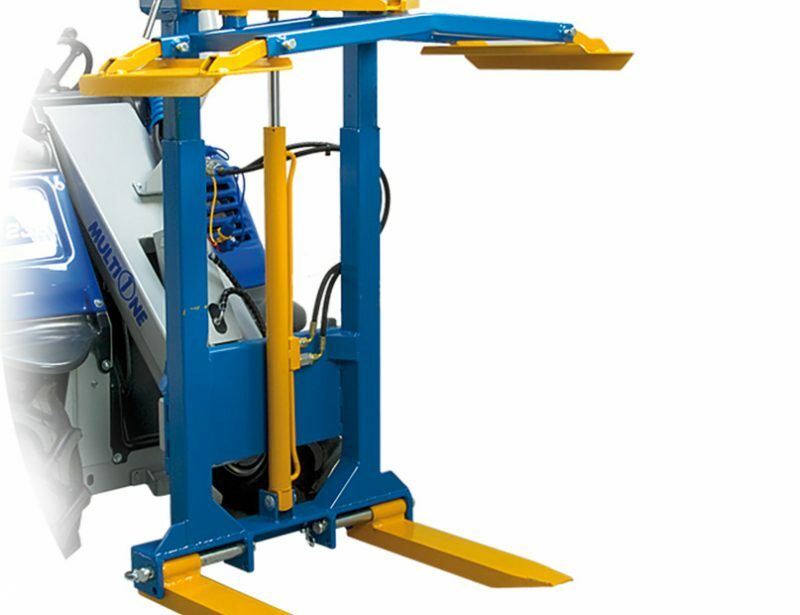 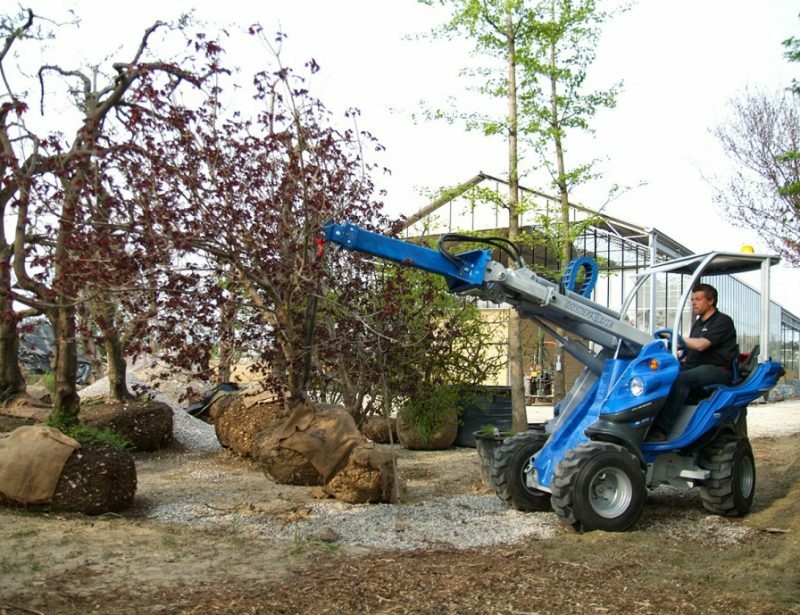 (1,000 kg,) and you have a vehicle that can do the job of much larger machines while being able to work in places they can’t reach. 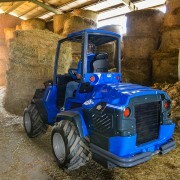 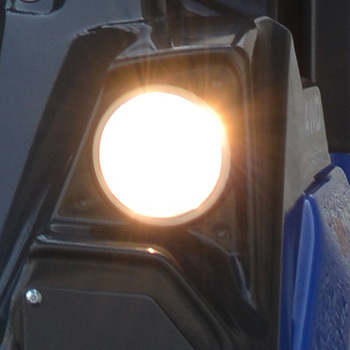 The S520 is powered by a Kubota D722. 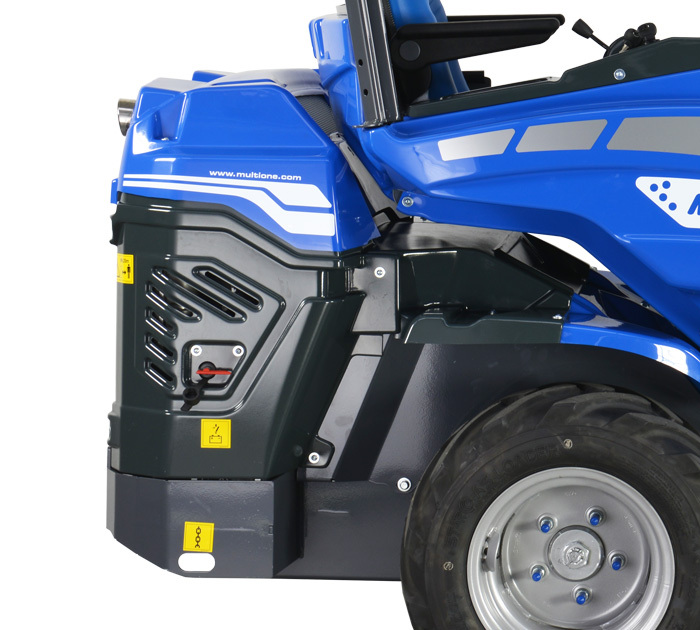 This diesel engine provides 20 hp for a top speed of 6.8 mph (11 km/h) or 10.6 mph (17 km/h) when equipped with an optional drivetrain. 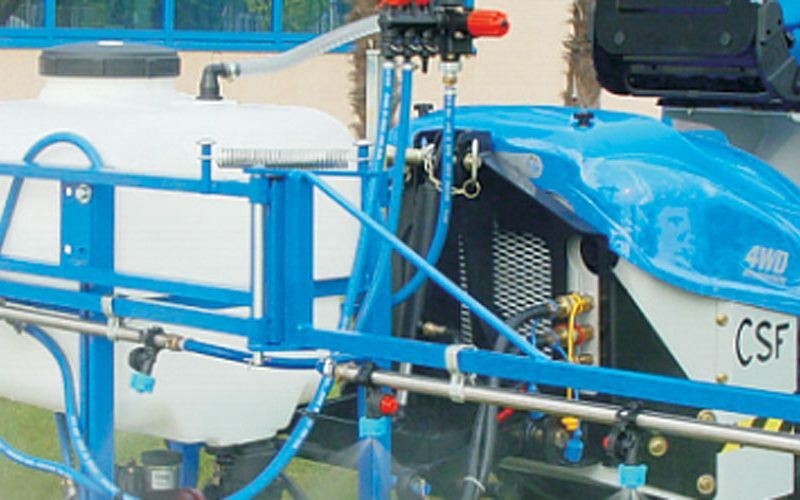 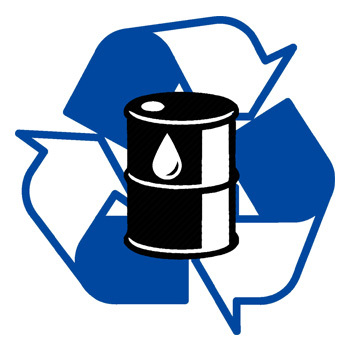 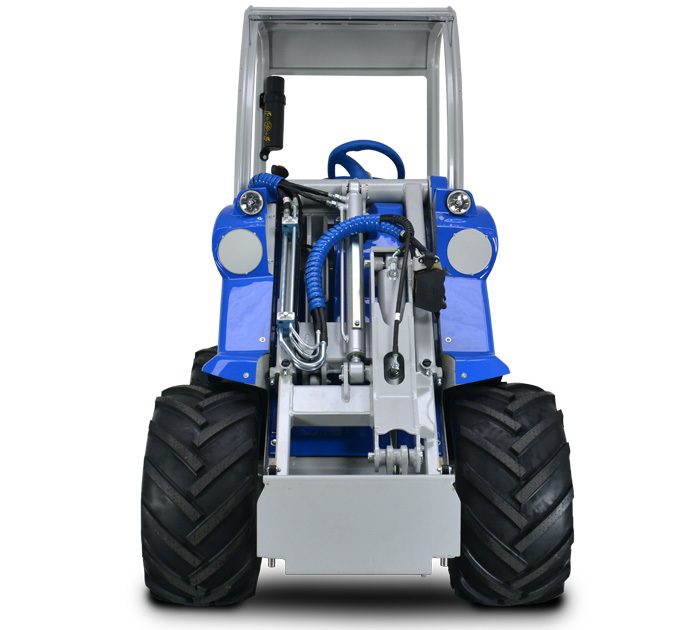 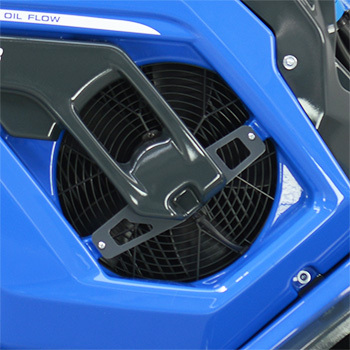 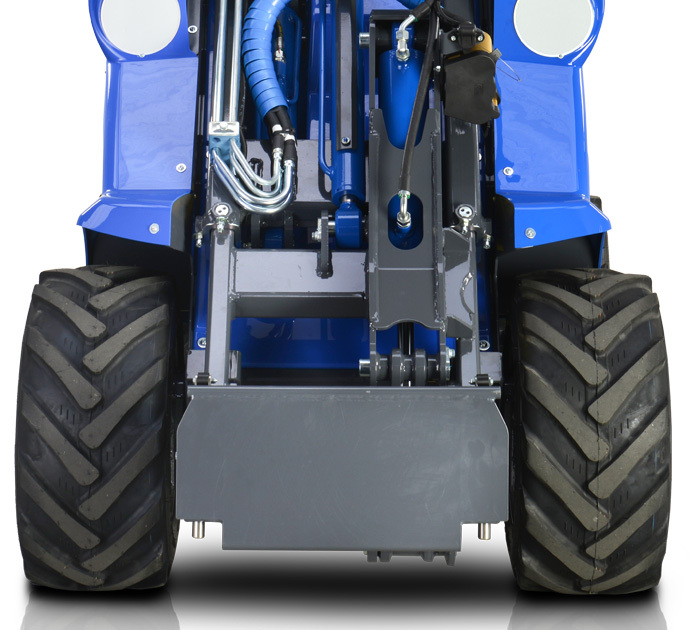 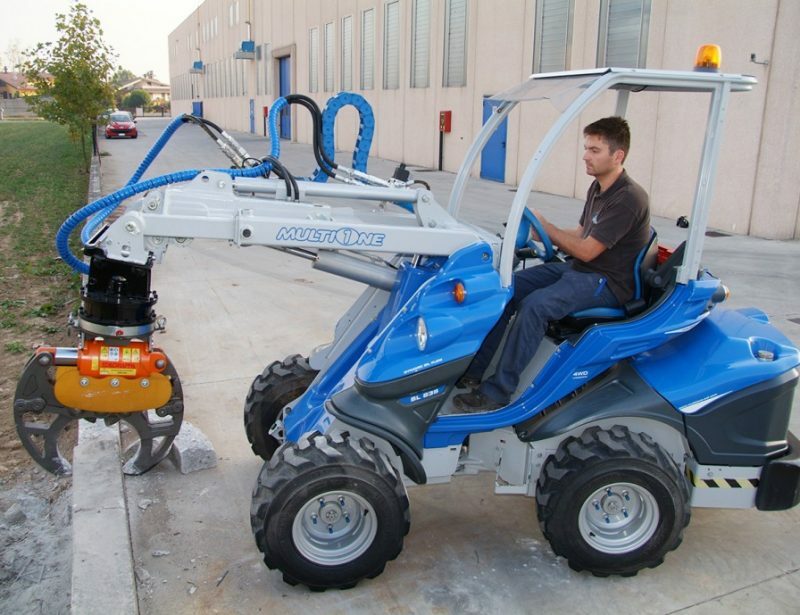 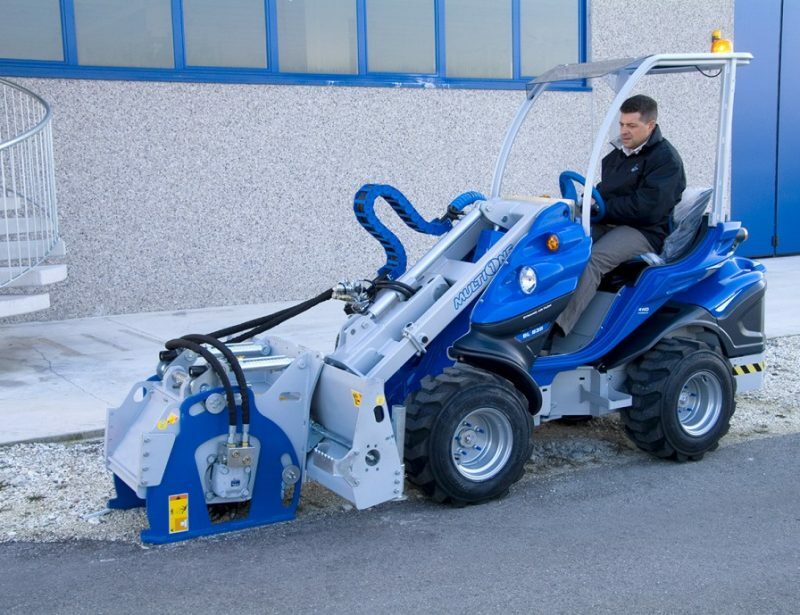 The hydraulic pump generates a flow rate of 8.2 gallons per minute (31 liters per minute) to power attachments. 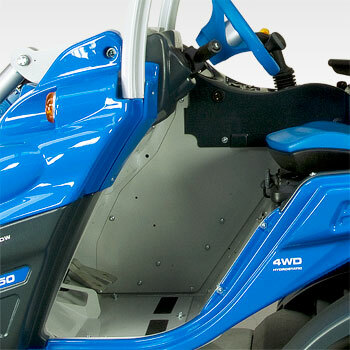 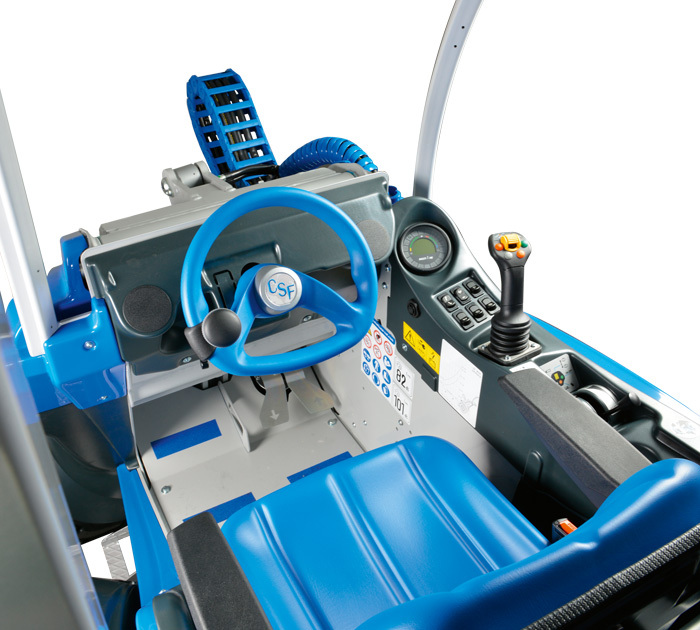 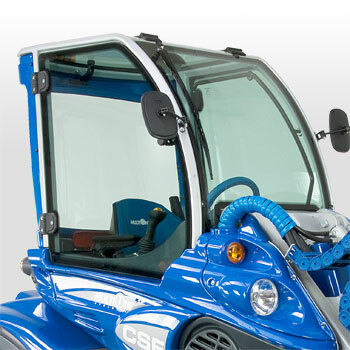 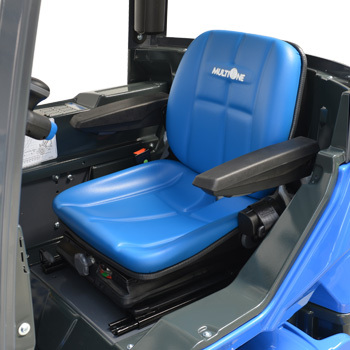 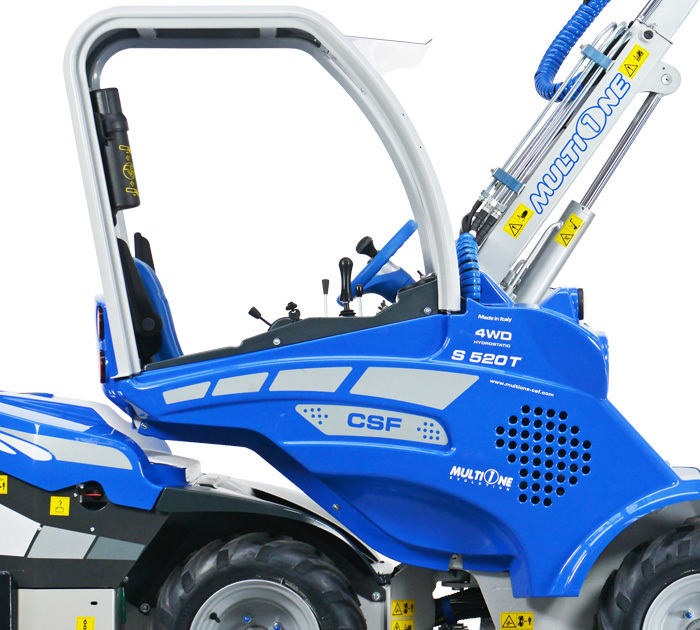 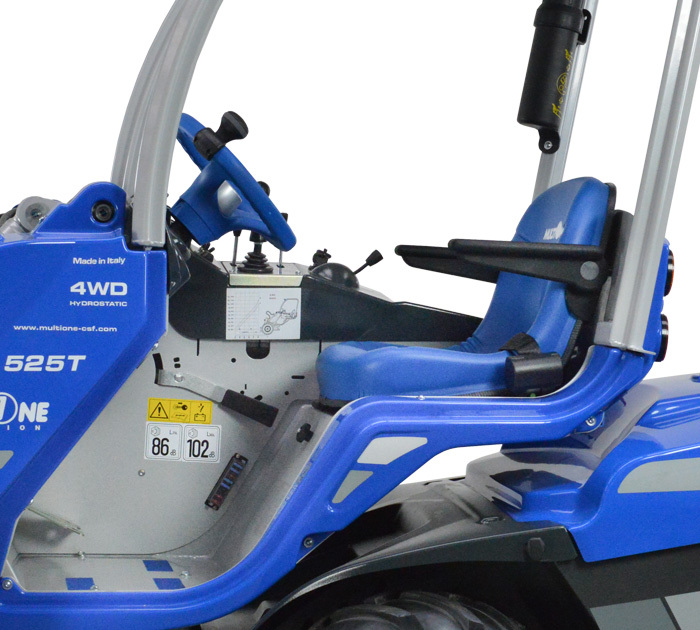 The operator position has an ergonomic seat with a seat belt and arm rests surrounded by a Level 1 ROPS/FOPS. 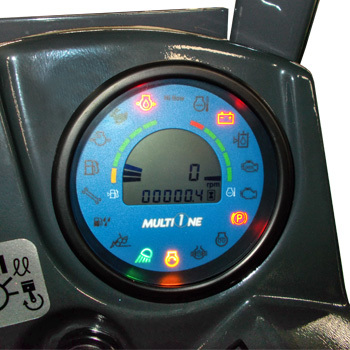 An LCD screen displays a tachometer, hour meter, fuel level, maintenance alert and other useful information, while a pair of work lights improve visibility. 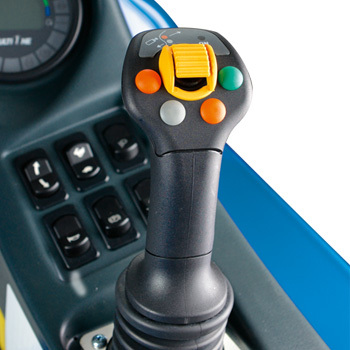 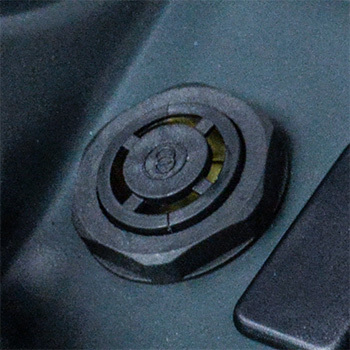 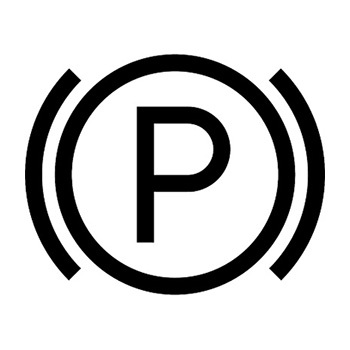 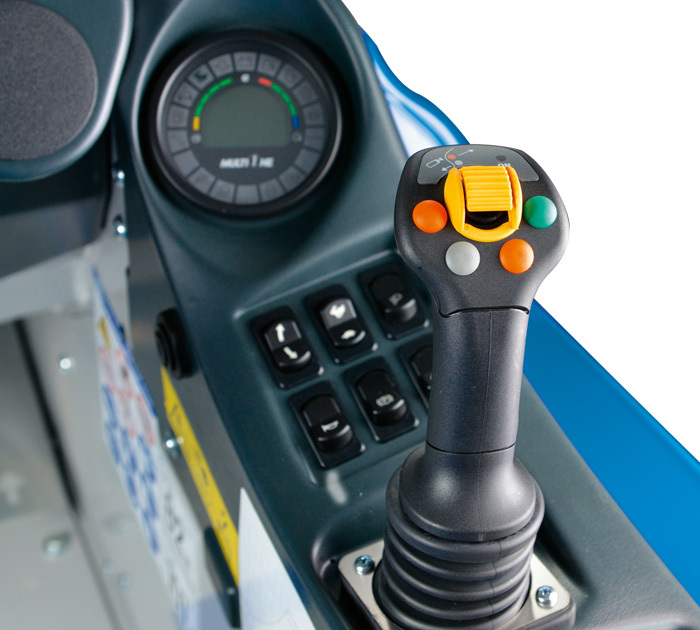 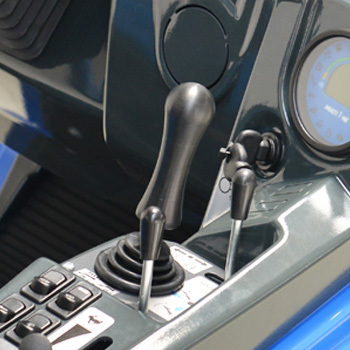 Despite a complicated drive system, steering is handled by an automotive-style steering wheel, while attachments are controlled by a four-function joystick. 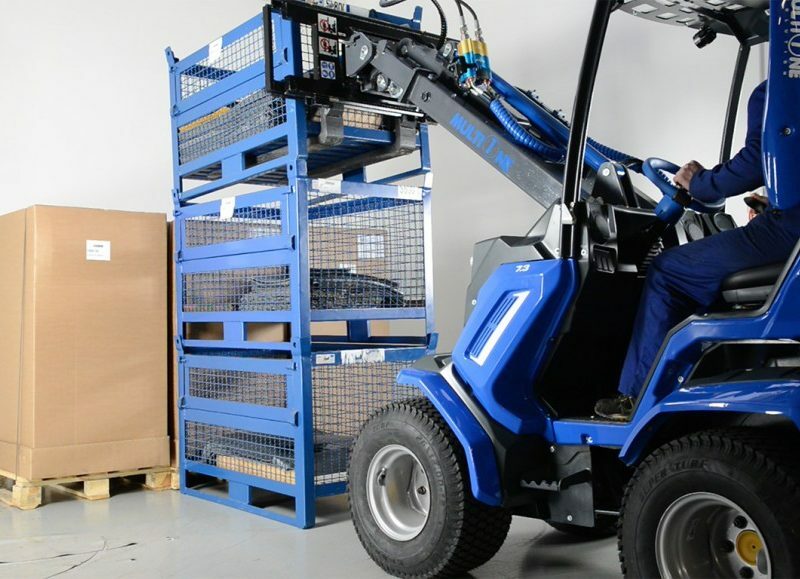 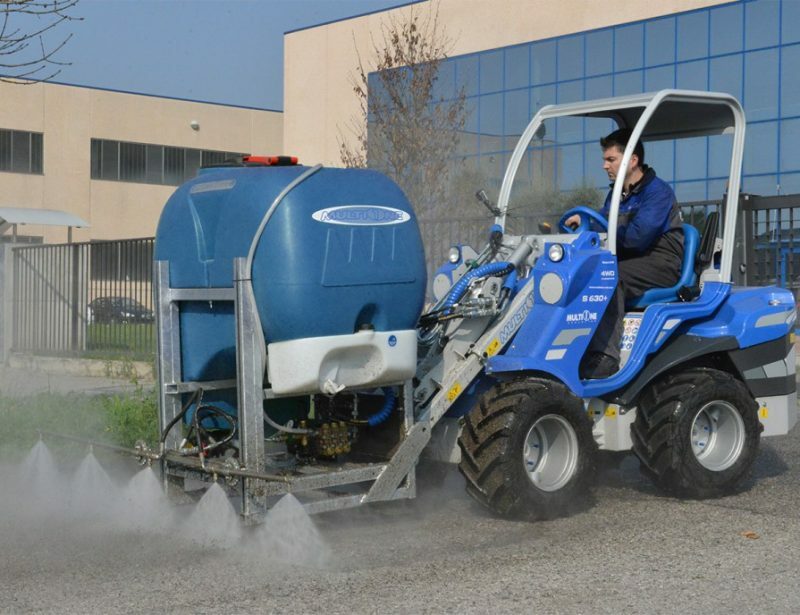 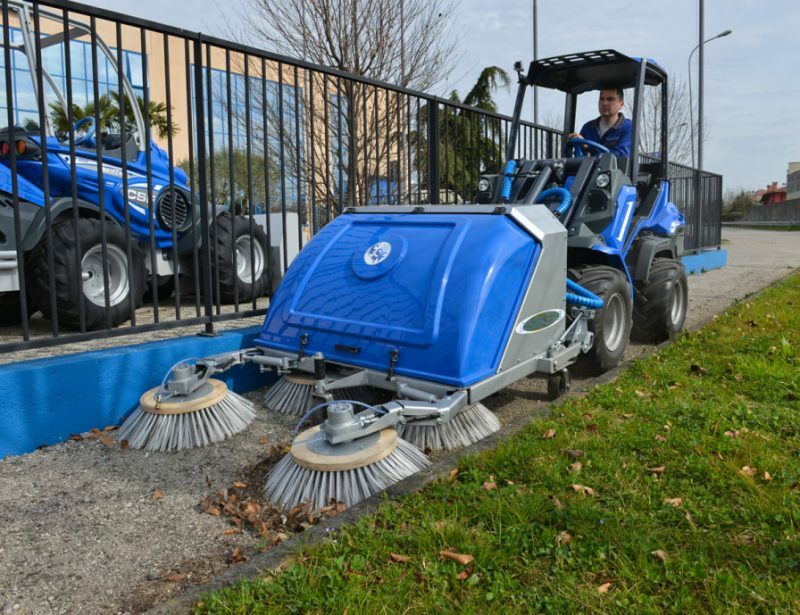 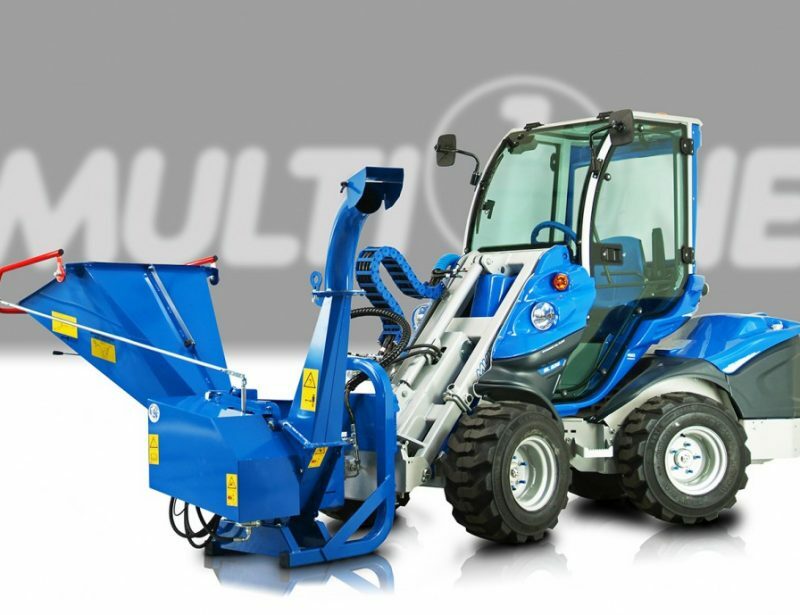 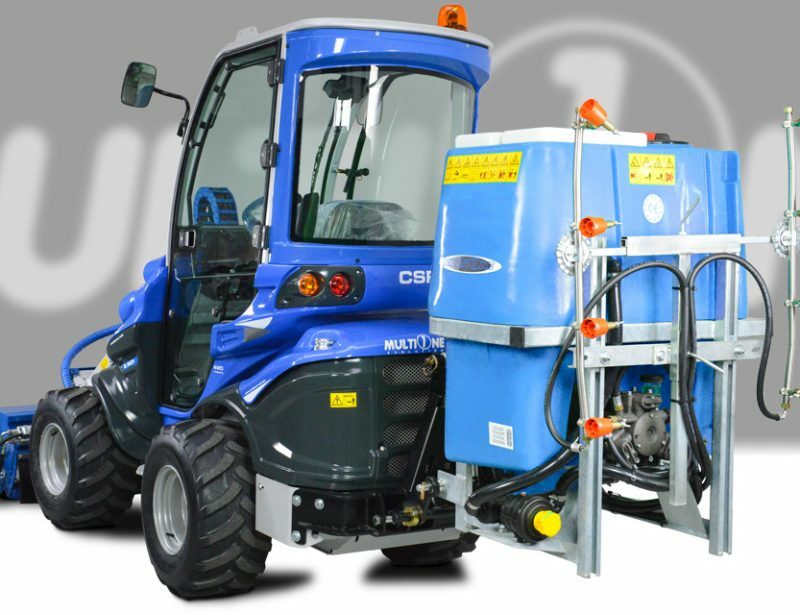 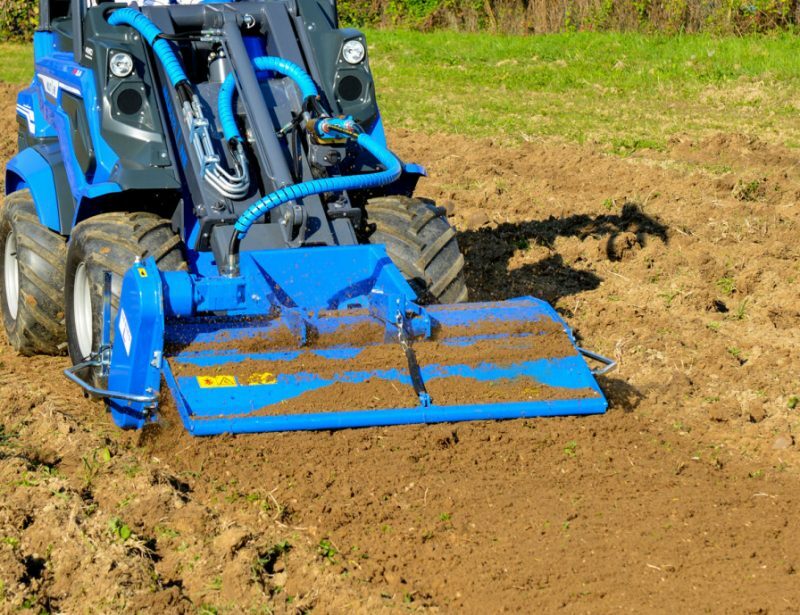 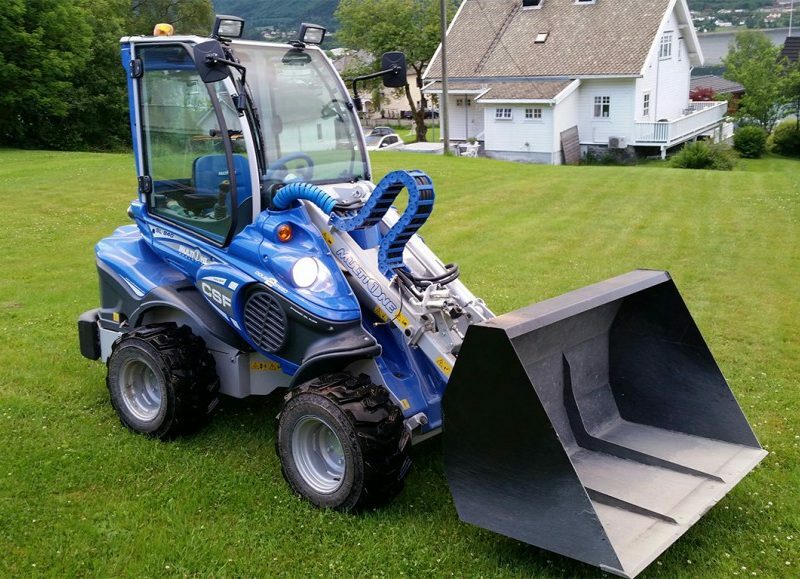 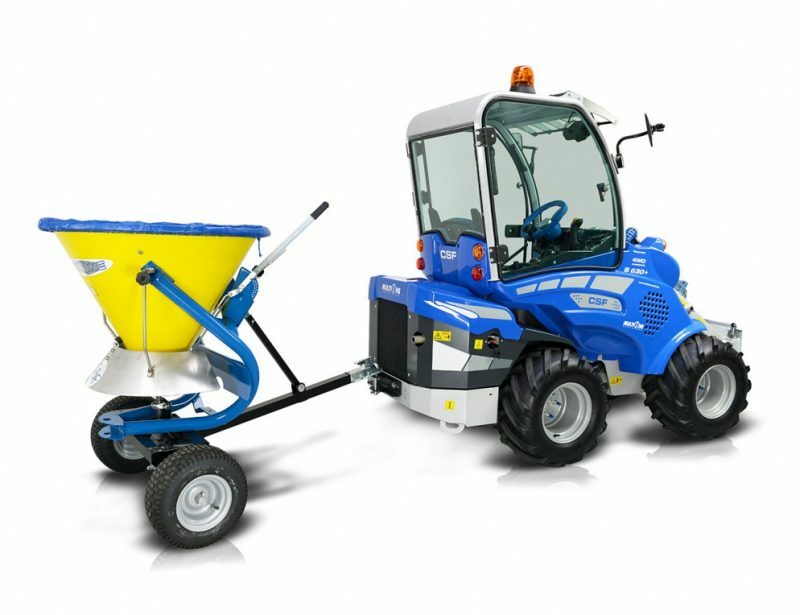 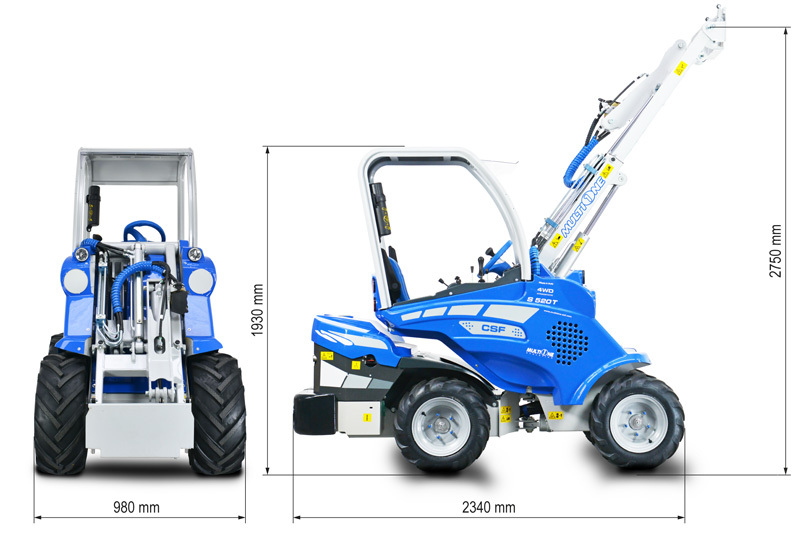 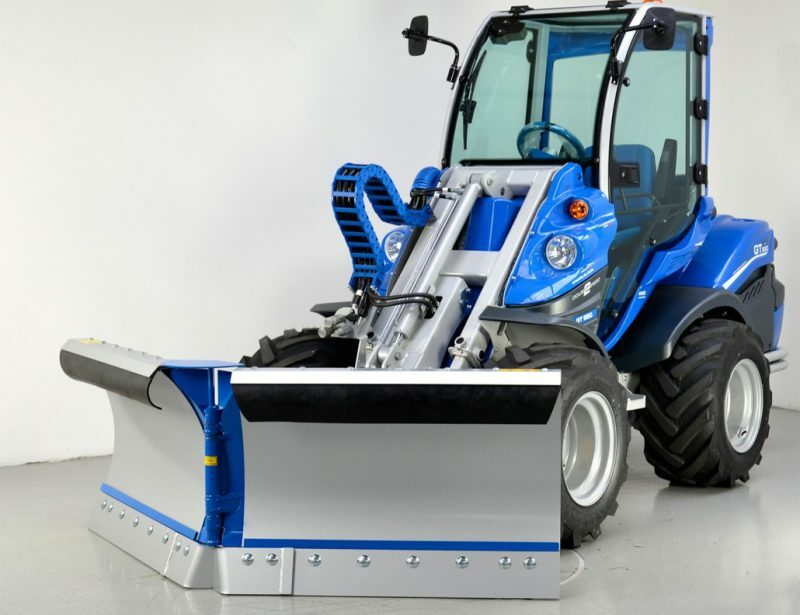 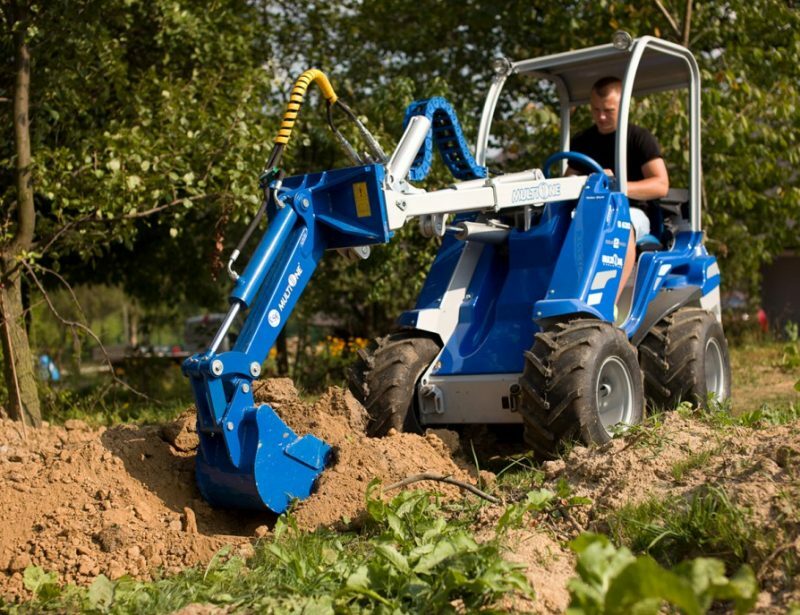 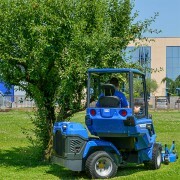 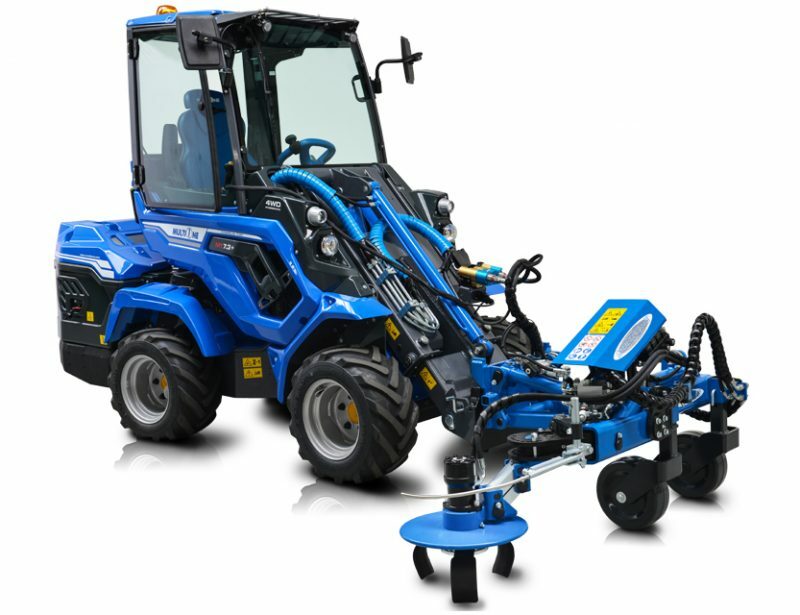 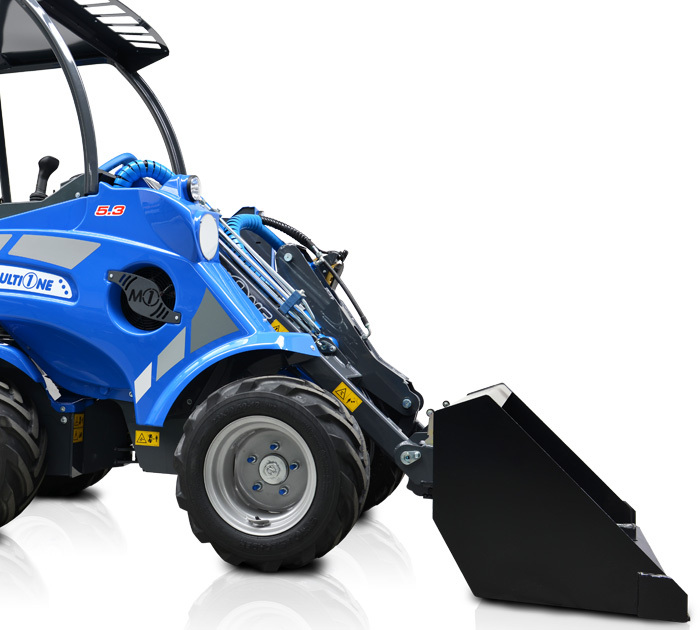 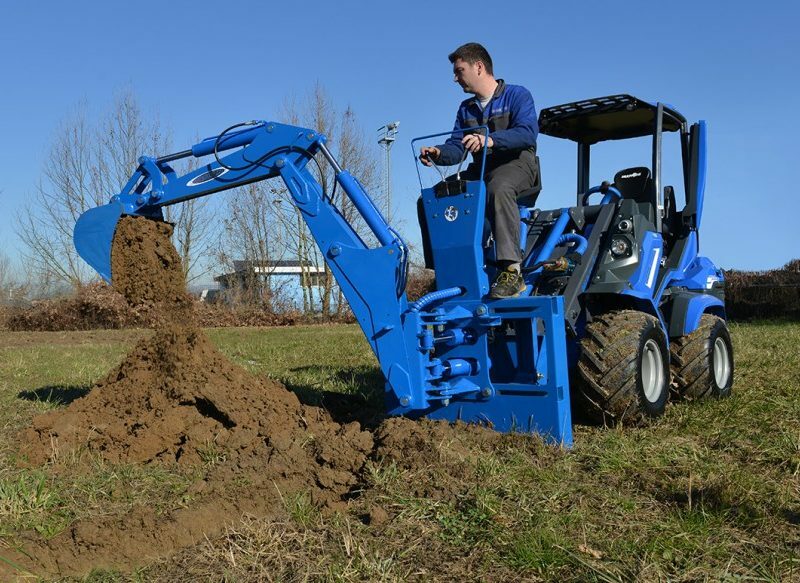 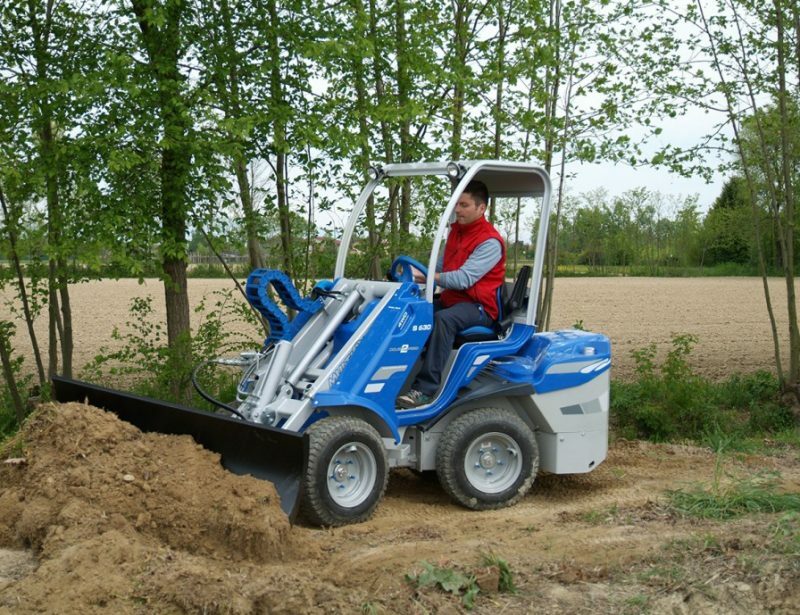 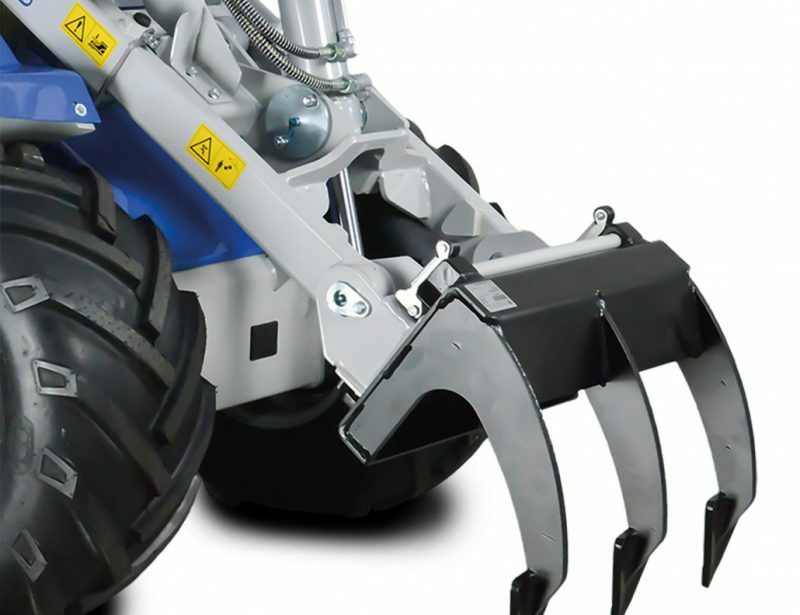 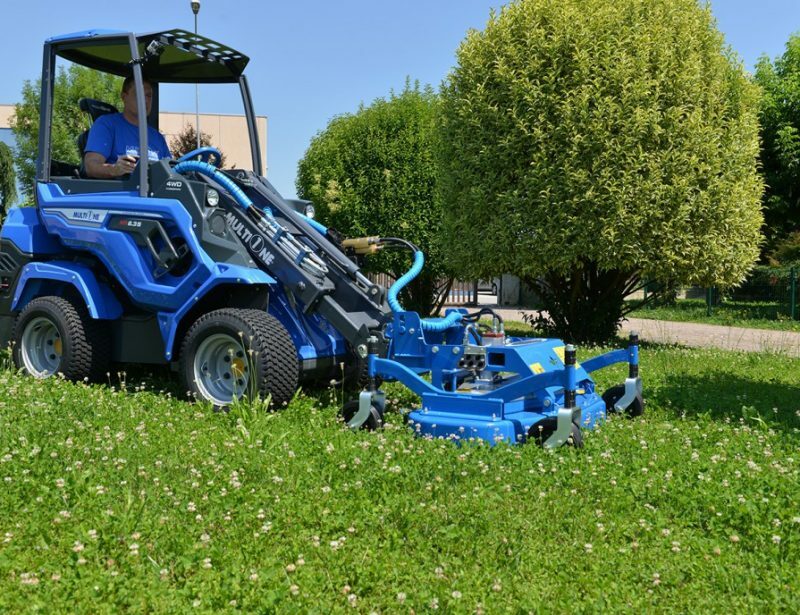 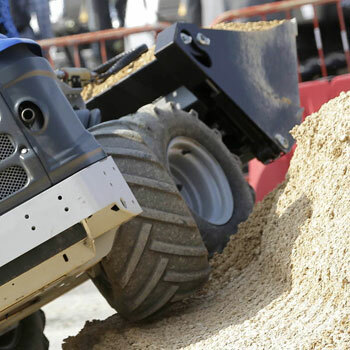 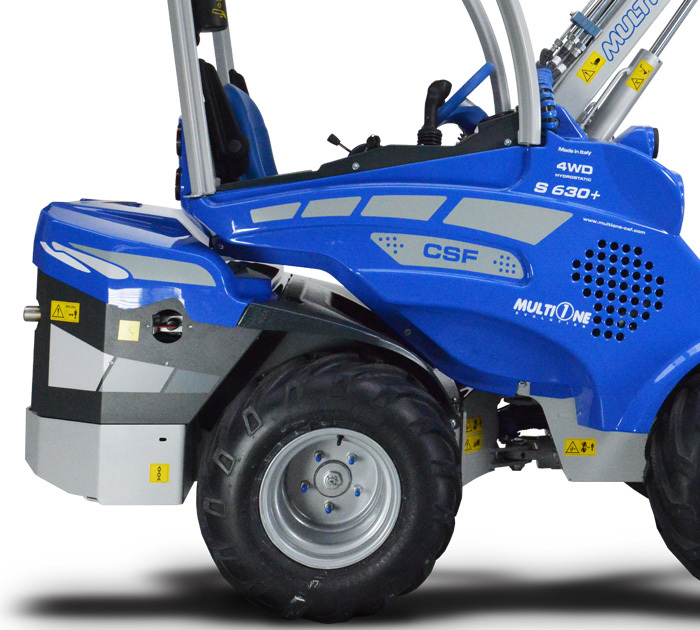 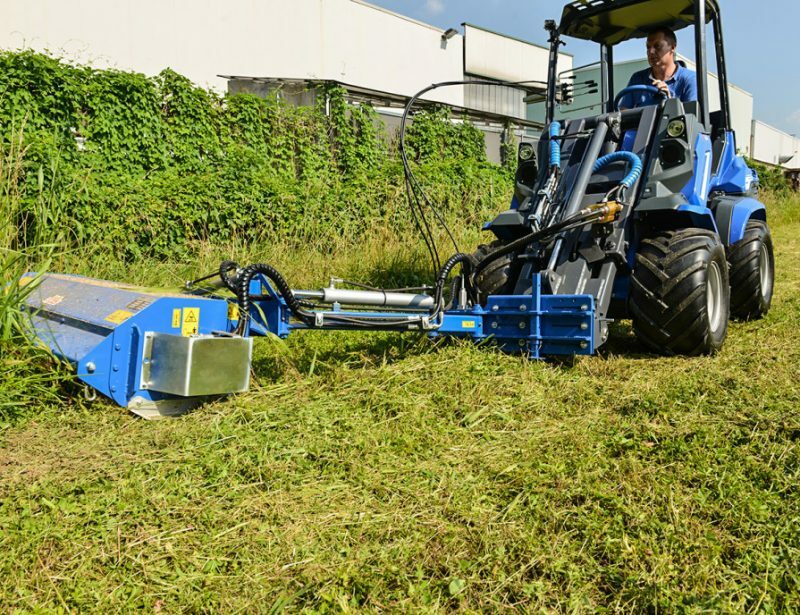 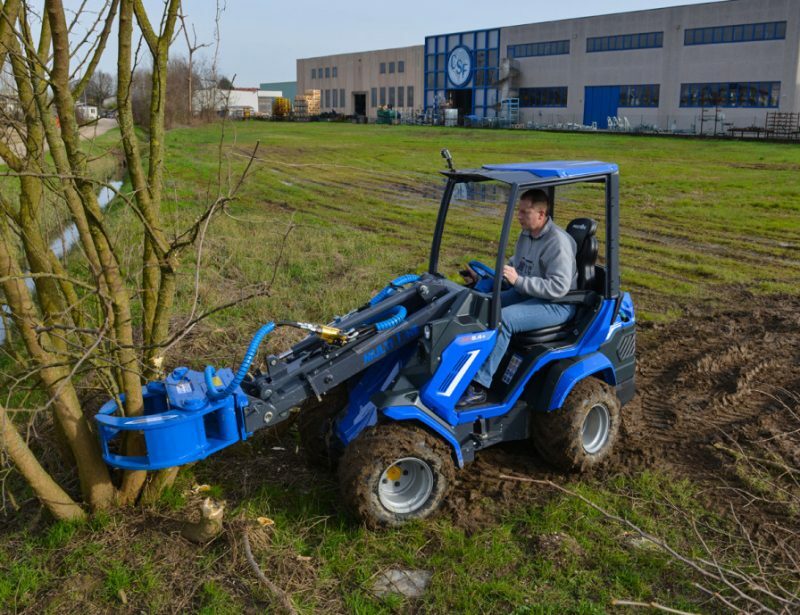 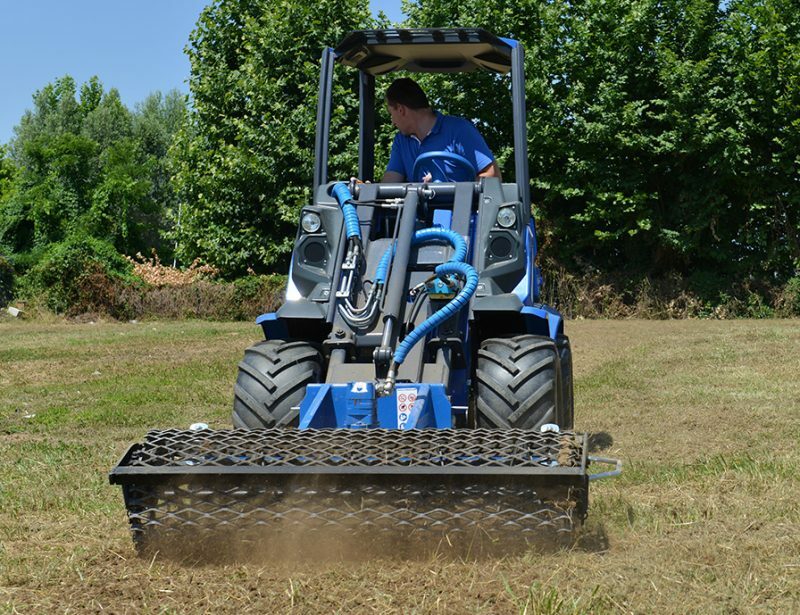 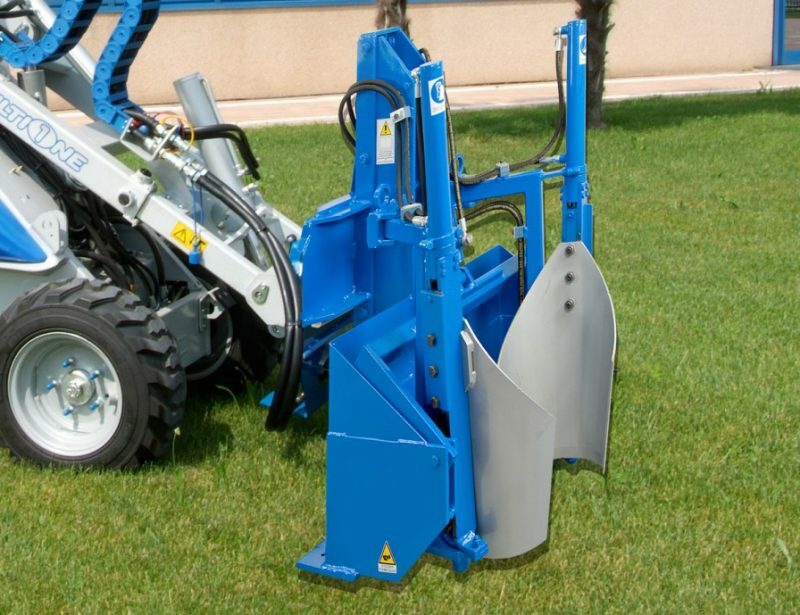 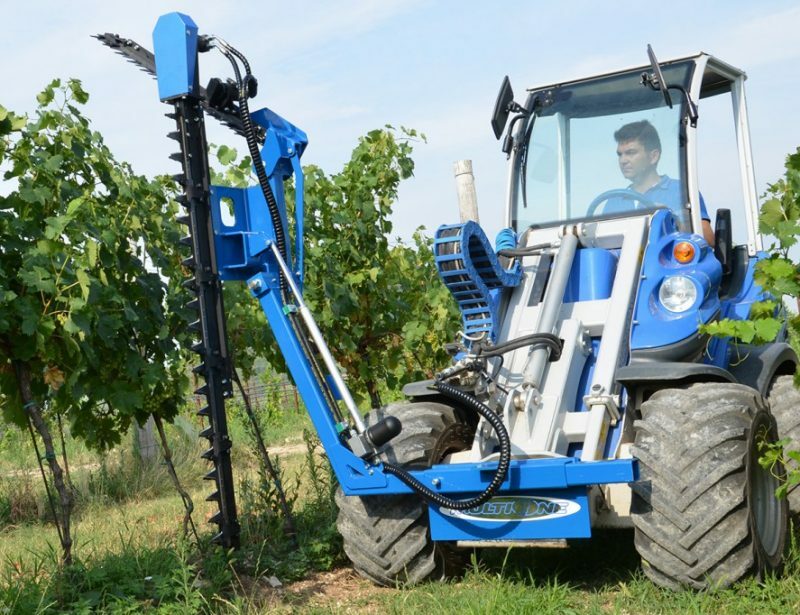 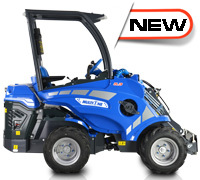 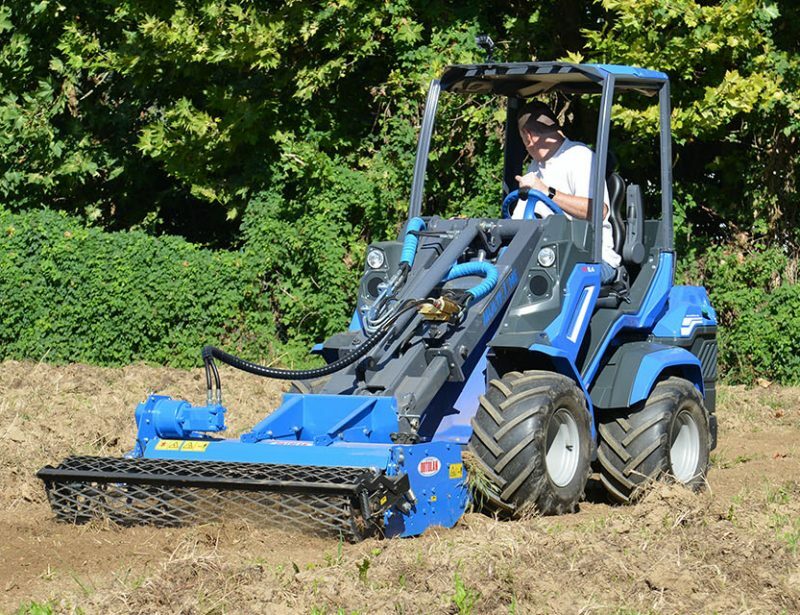 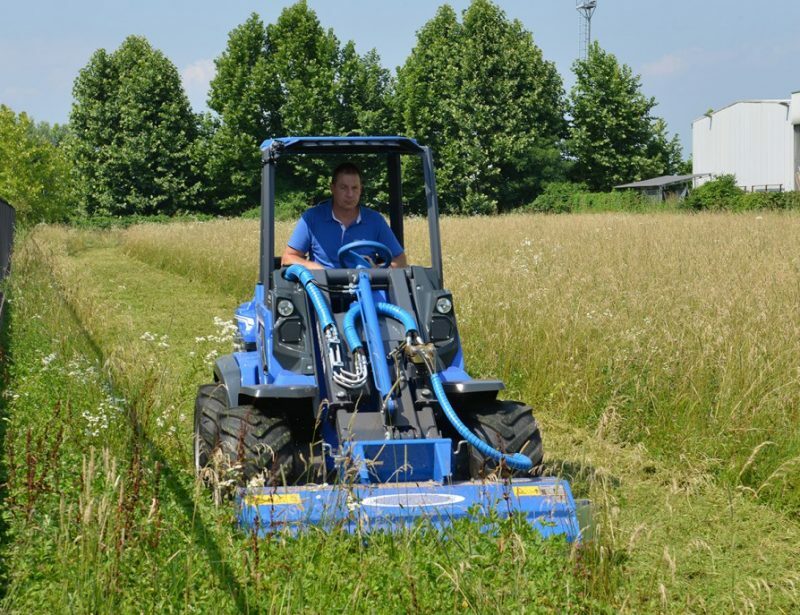 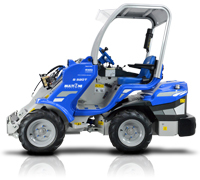 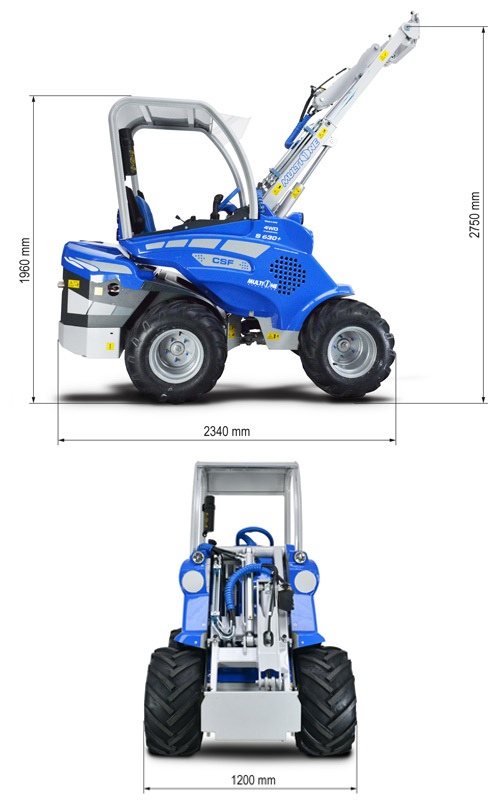 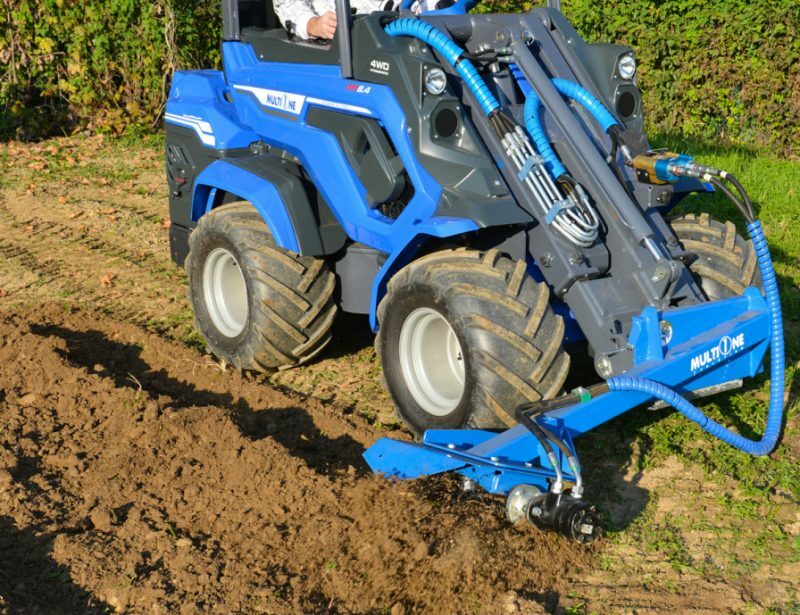 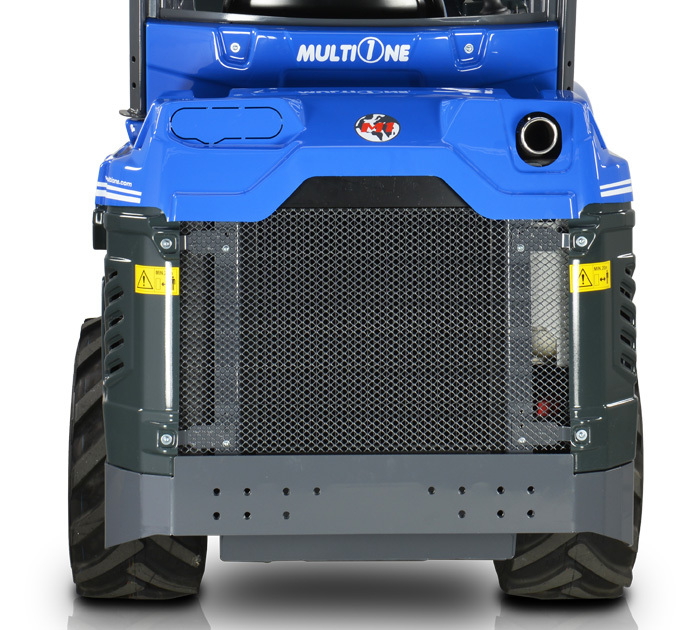 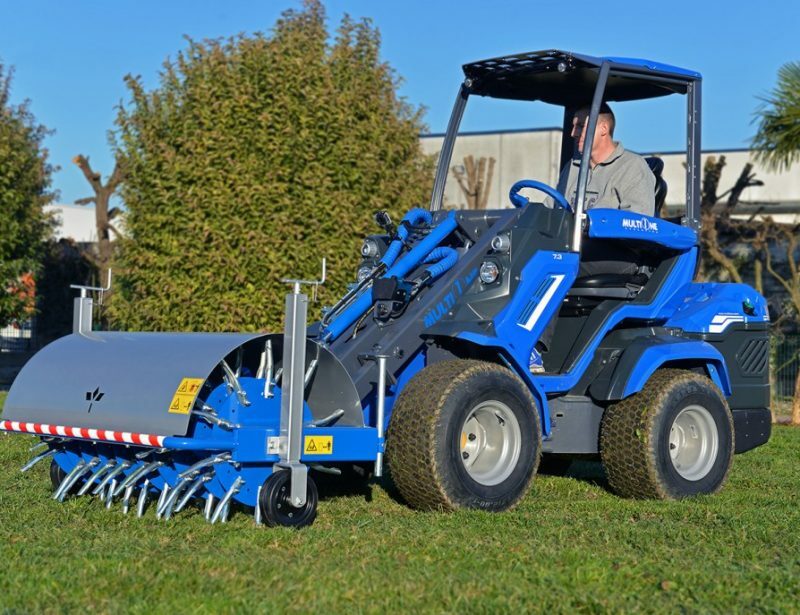 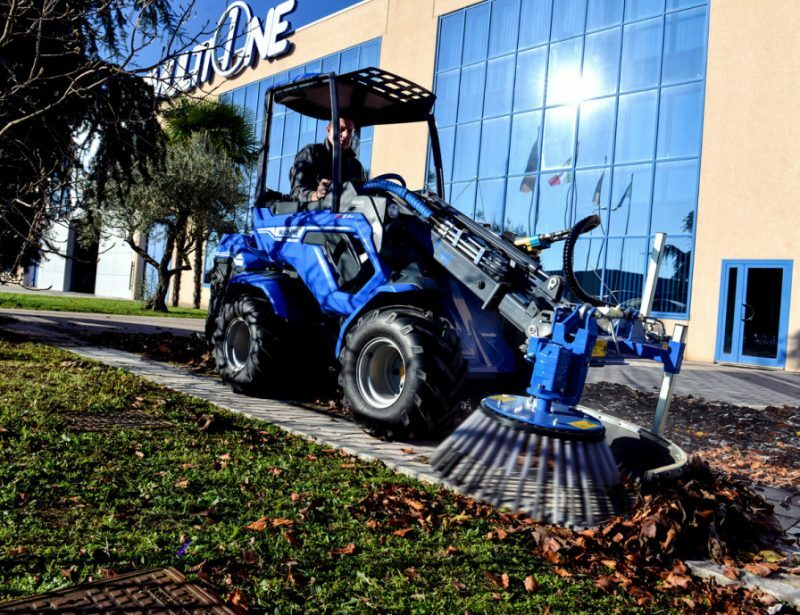 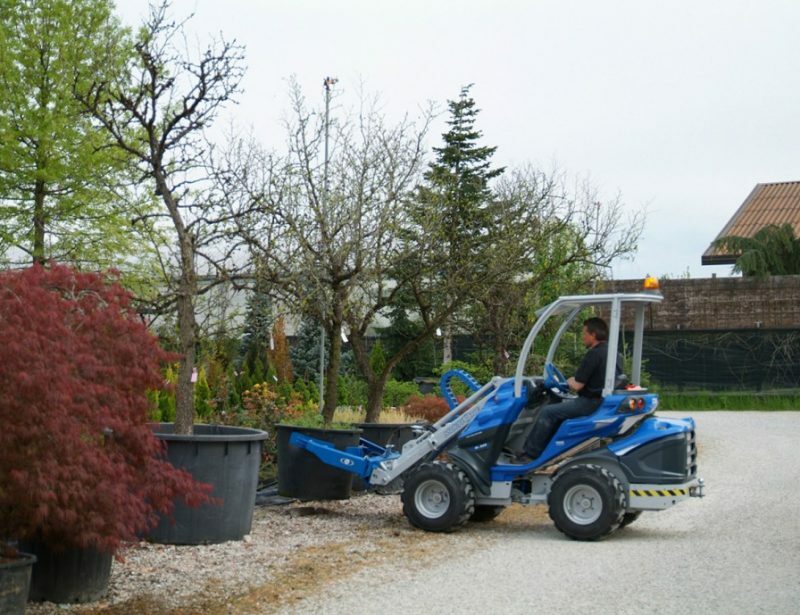 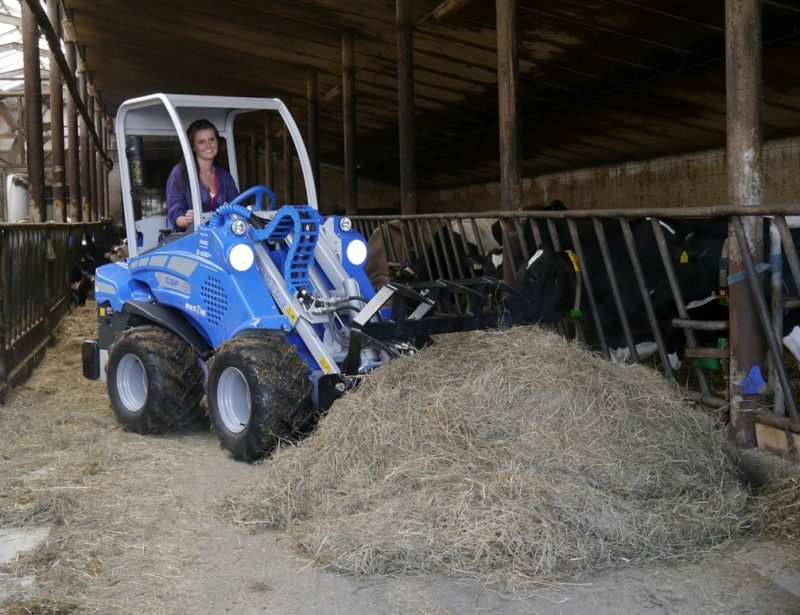 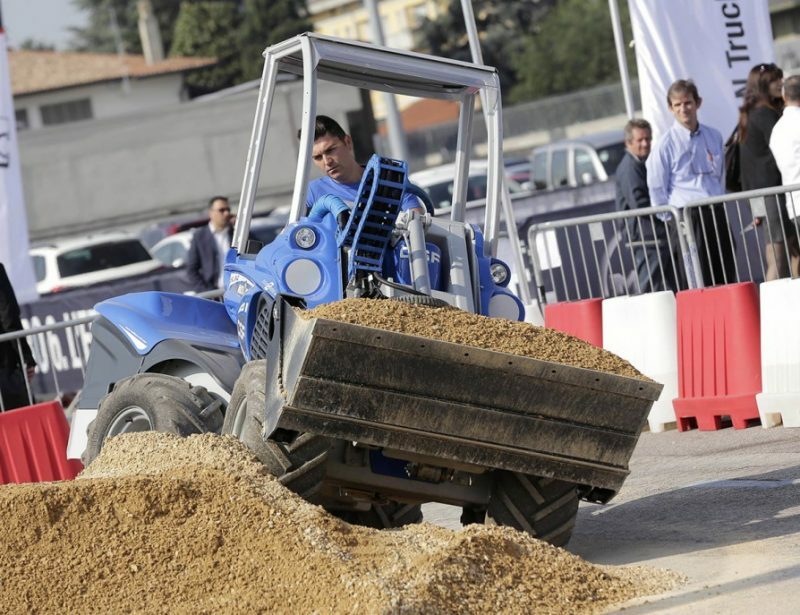 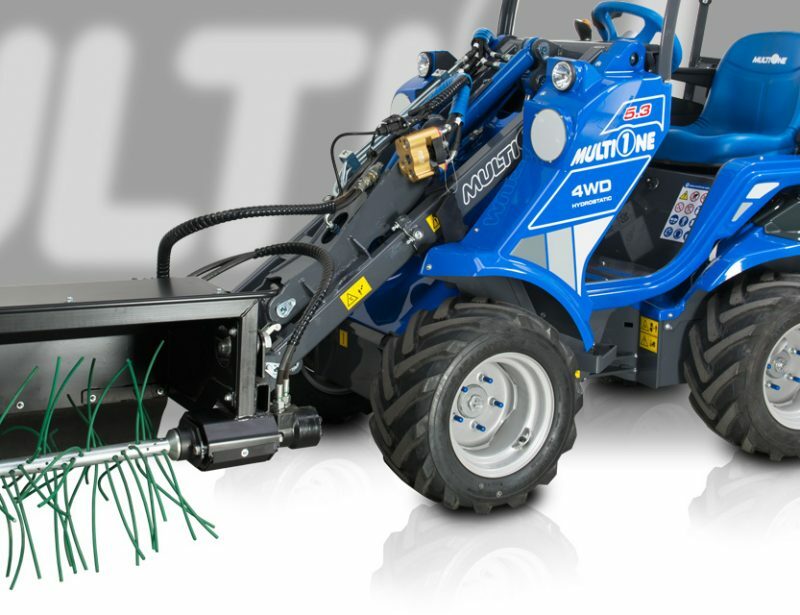 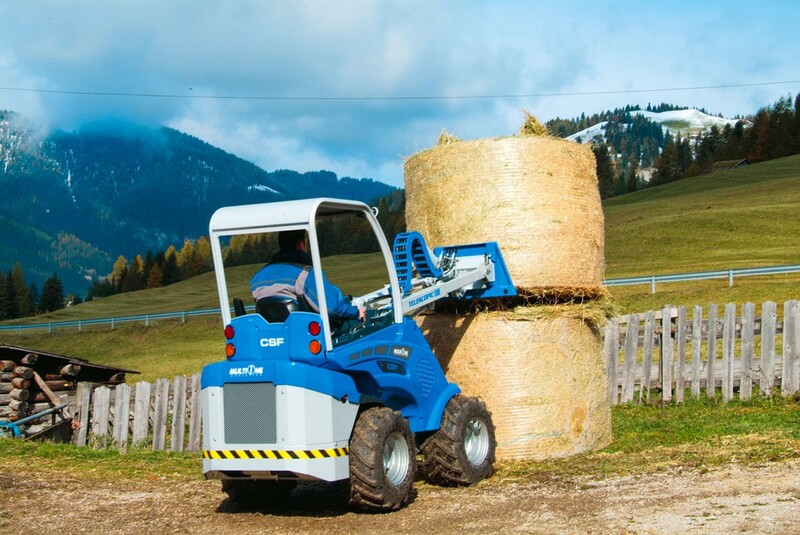 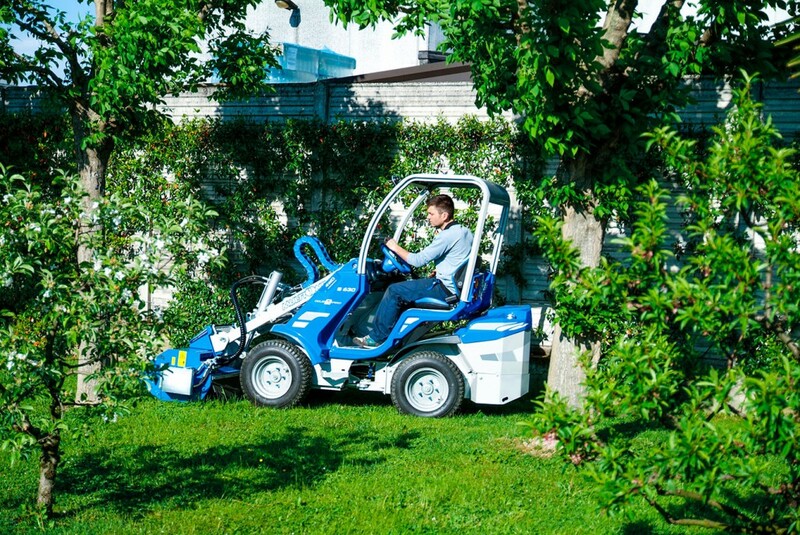 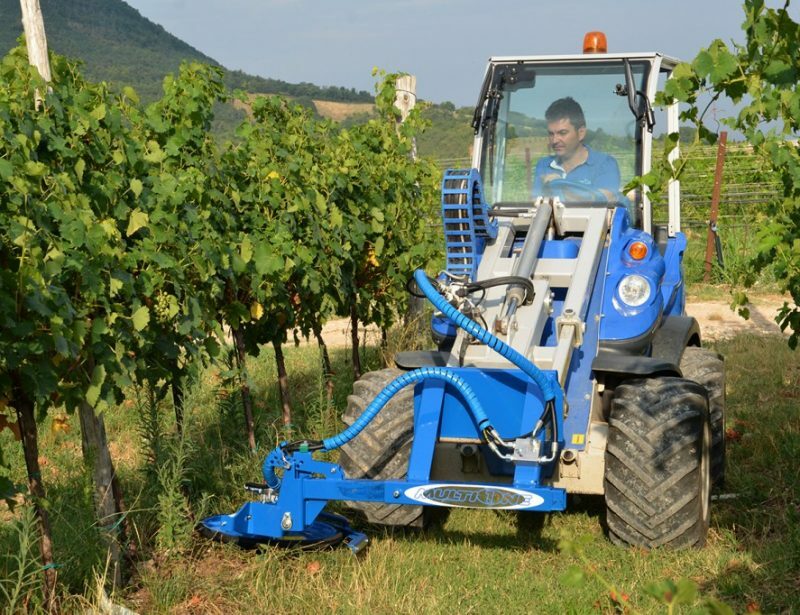 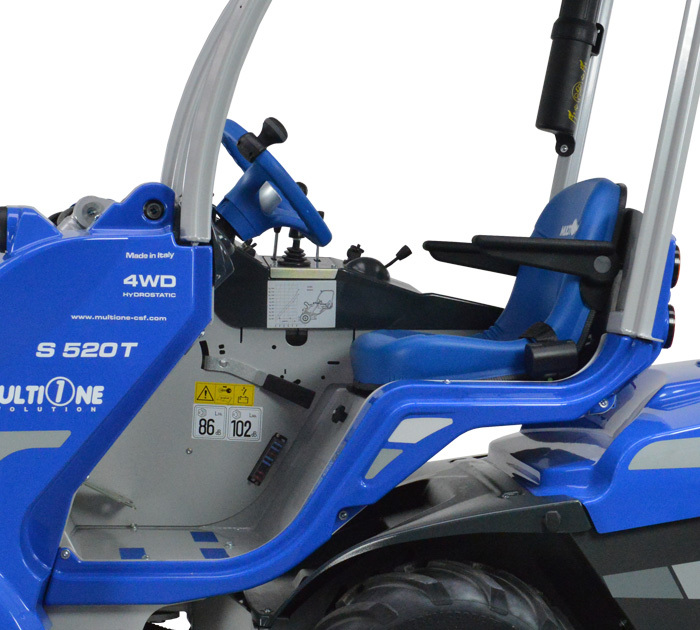 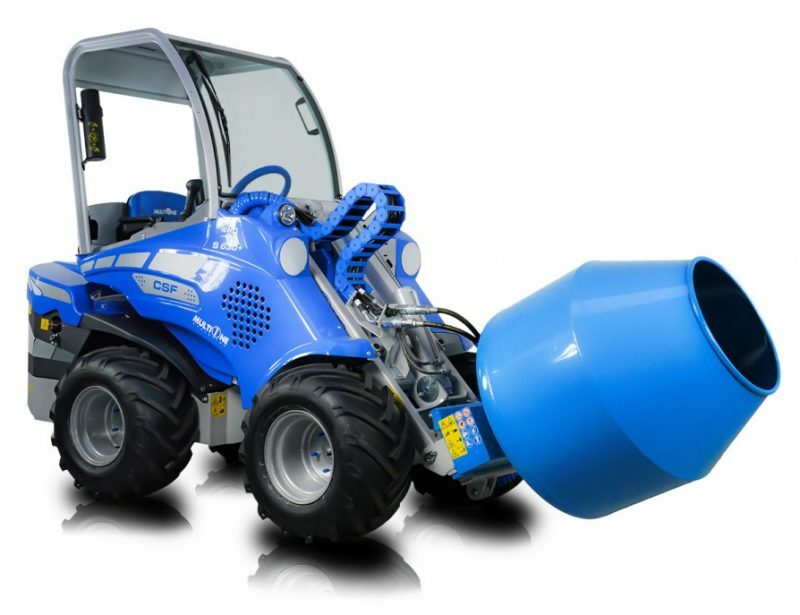 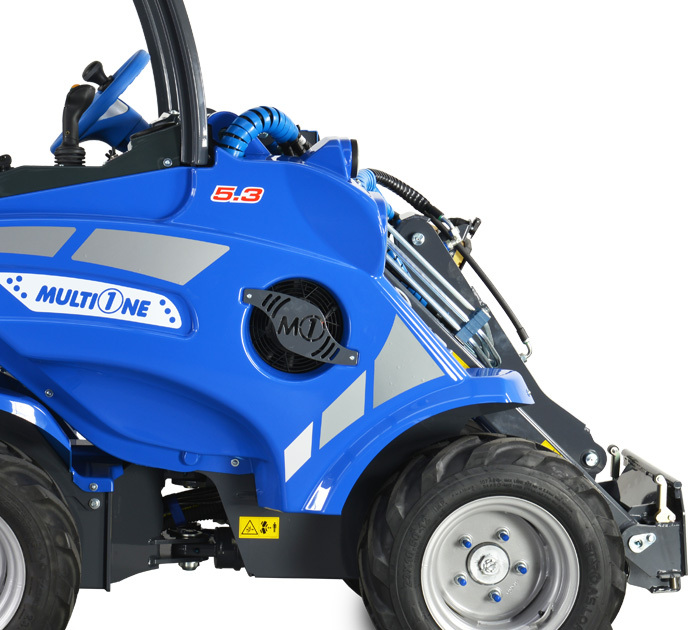 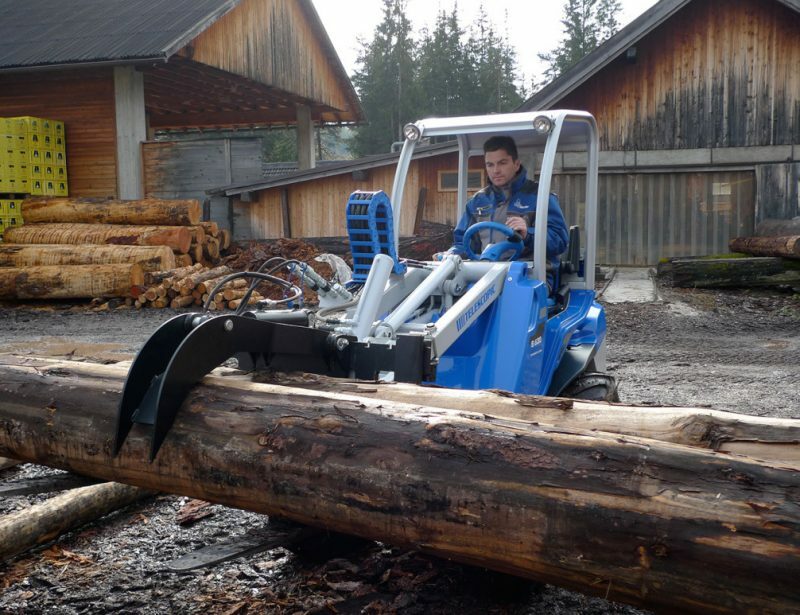 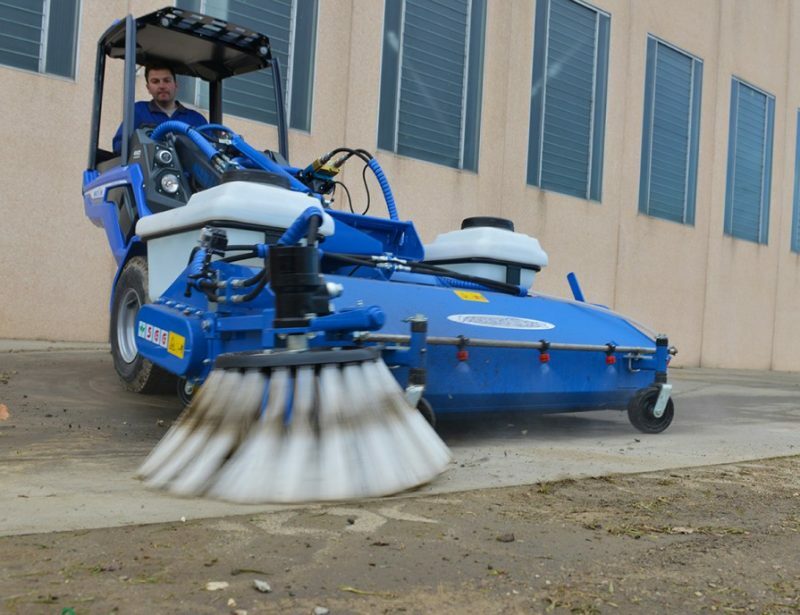 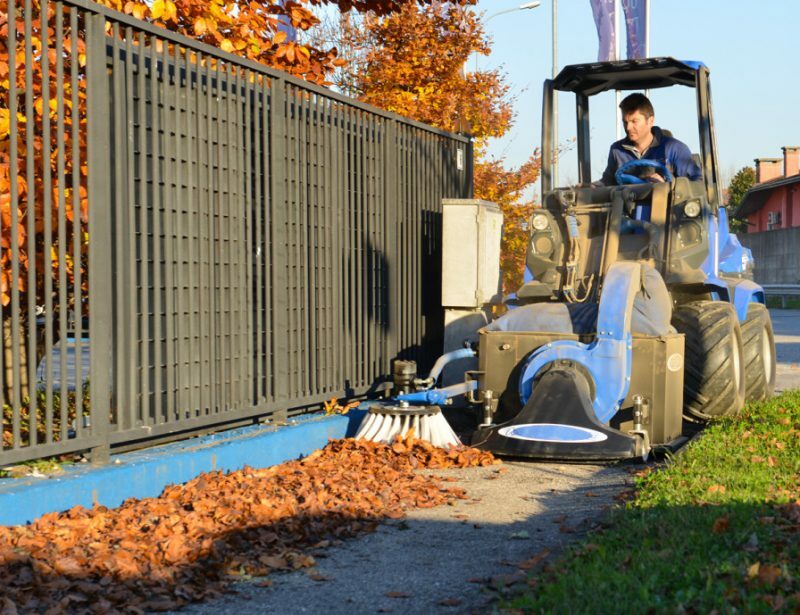 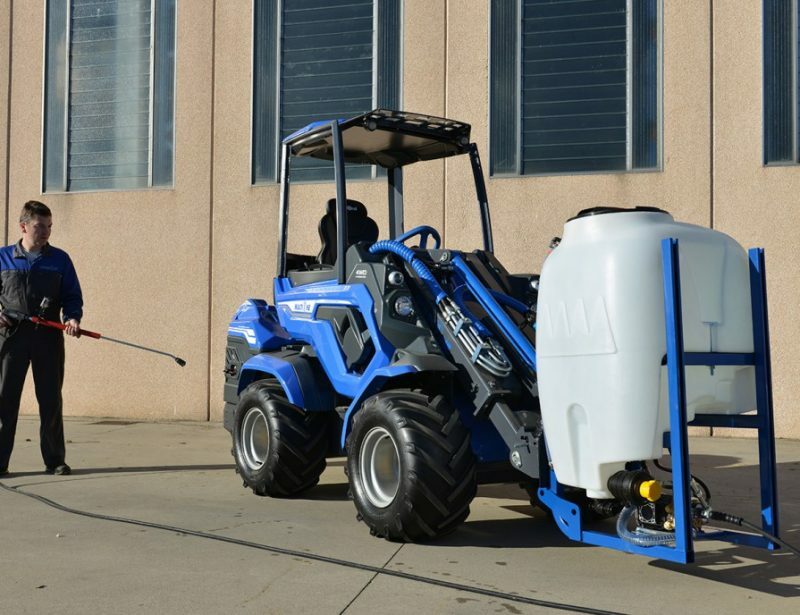 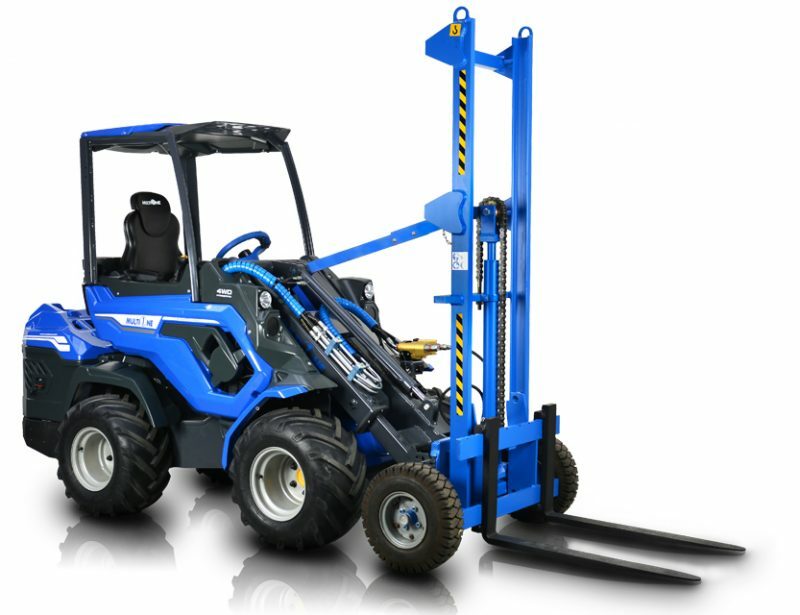 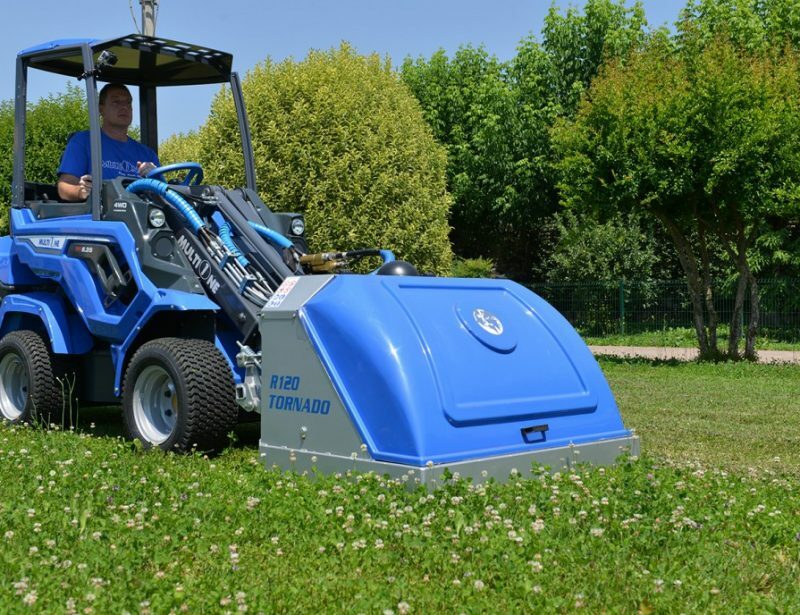 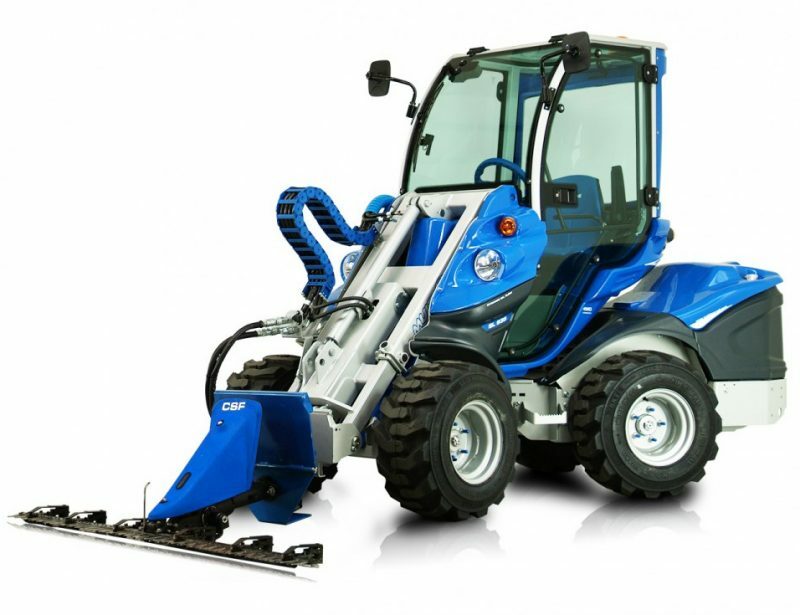 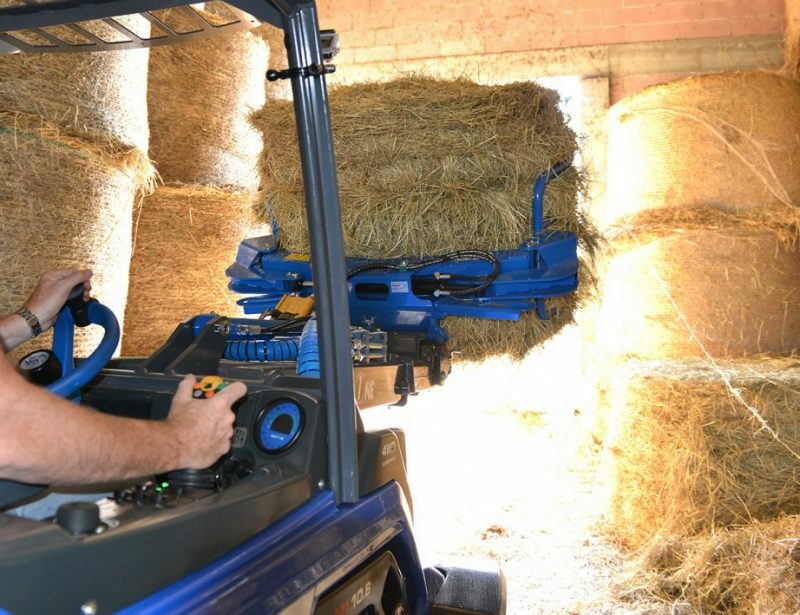 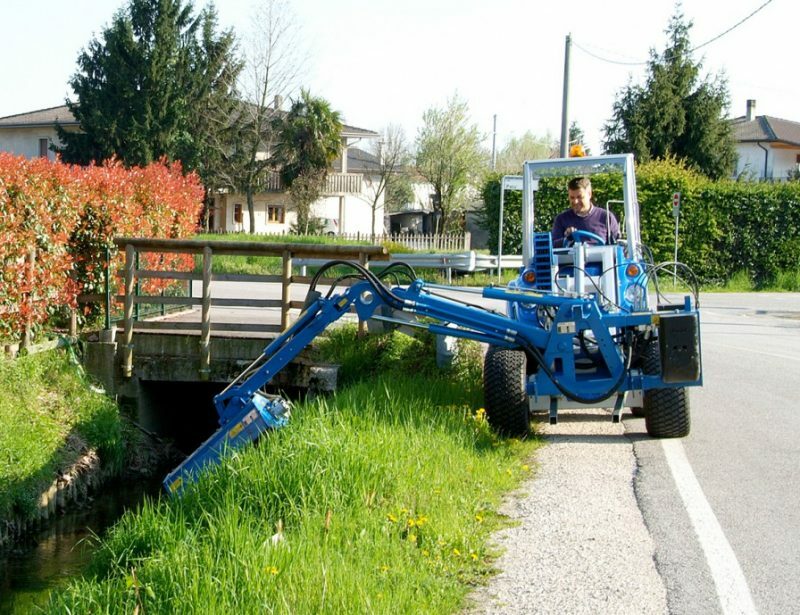 No matter what you need to do, there’s an attachment that you can add to the 5 Series to do it: MultiOne offers a whopping 170 options for construction, warehouse, farming and landscaping work. 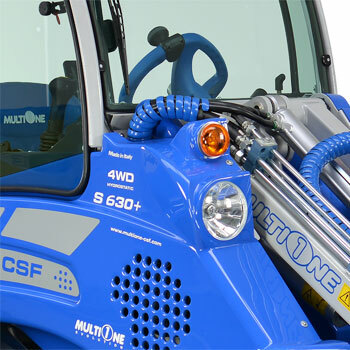 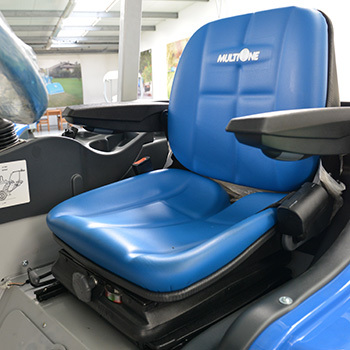 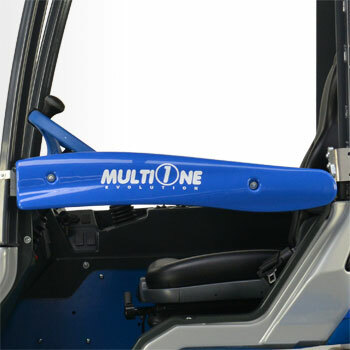 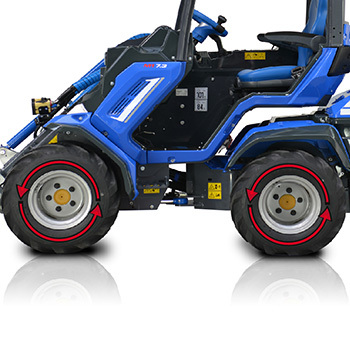 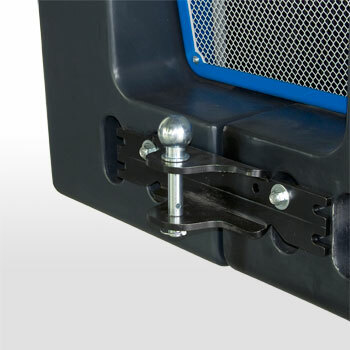 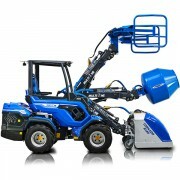 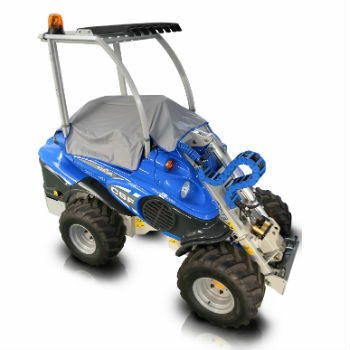 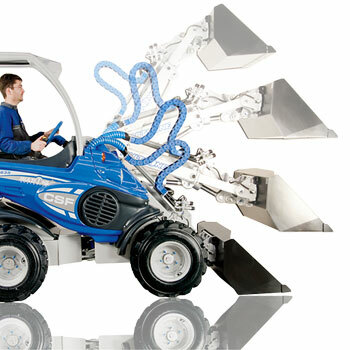 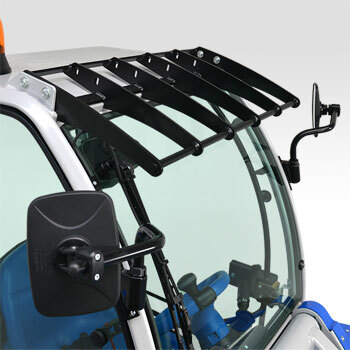 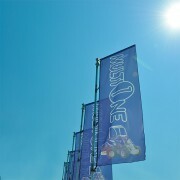 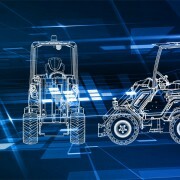 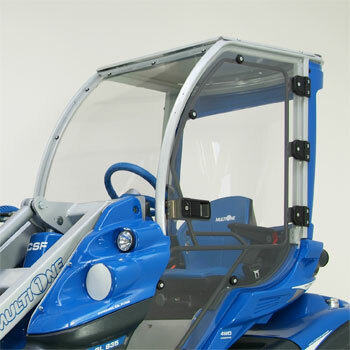 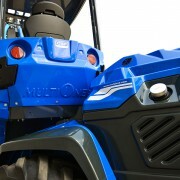 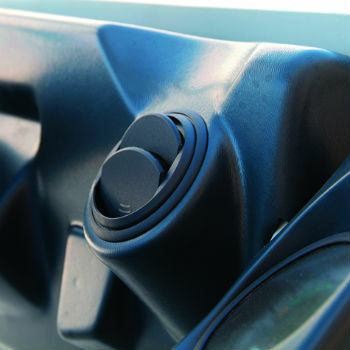 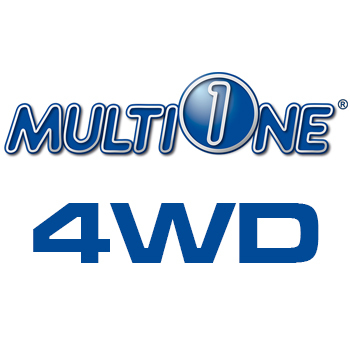 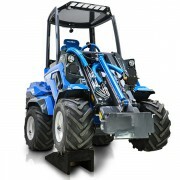 MultiOne offers a range of accessories to expand the 5 Series’ functionality to fit your needs. 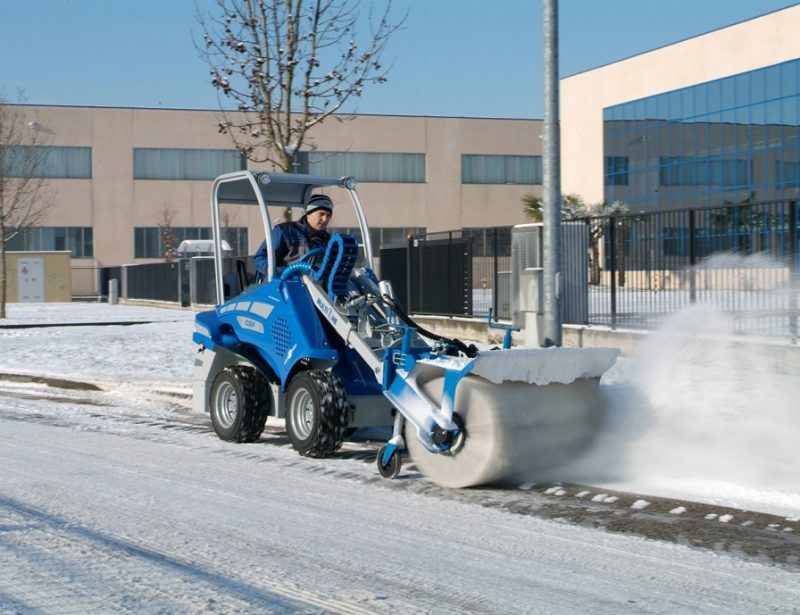 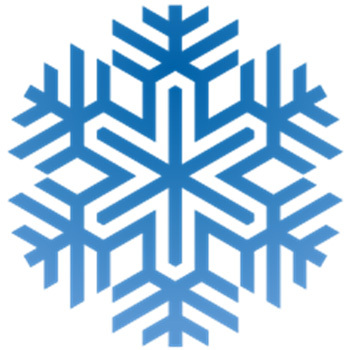 Want to work in cold weather? 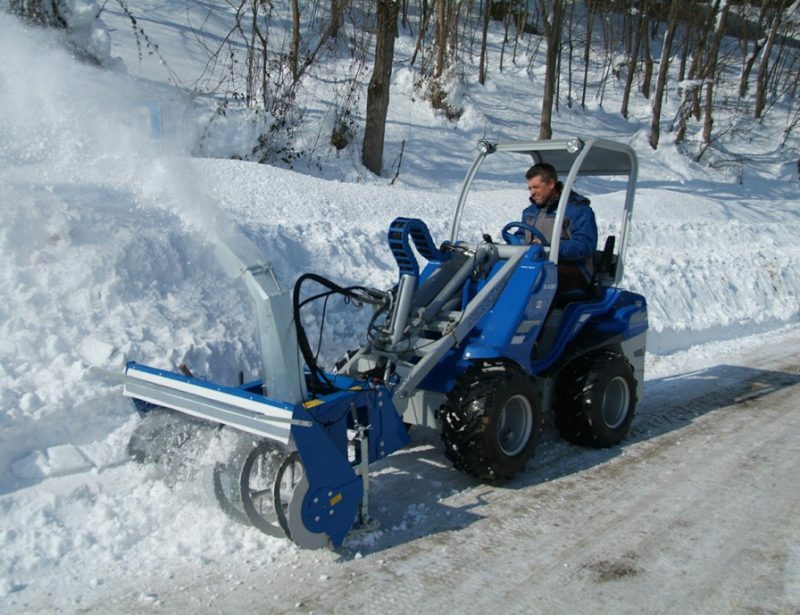 Add a heater, glass enclosed cab, heated seat, driver area cover, engine block heater or snow chains. 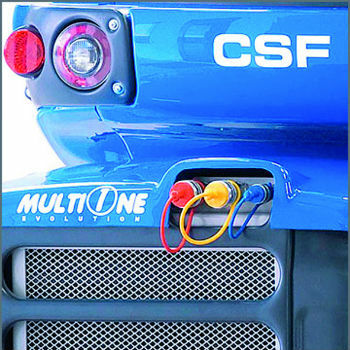 Need to be more visible? 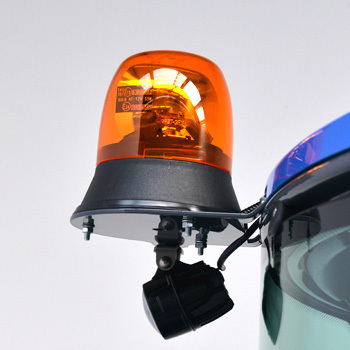 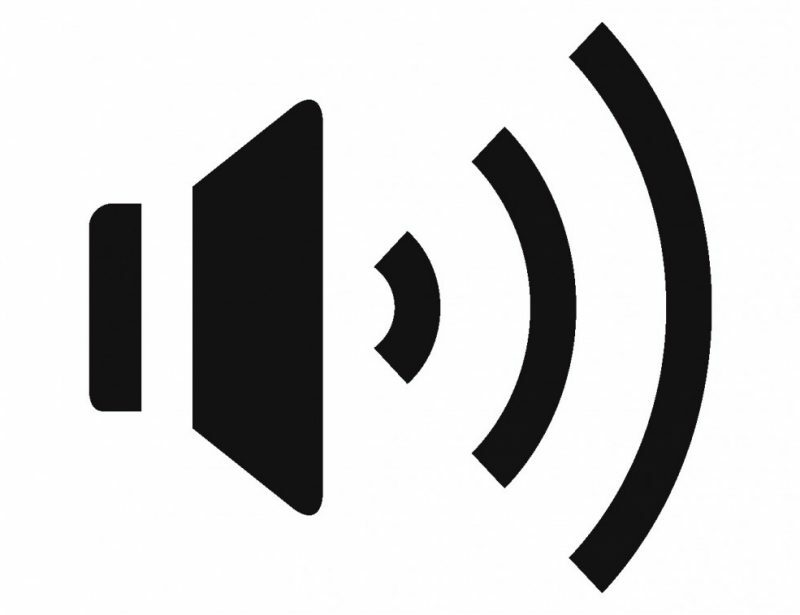 Add a beacon light, backup alarm, or road lights. 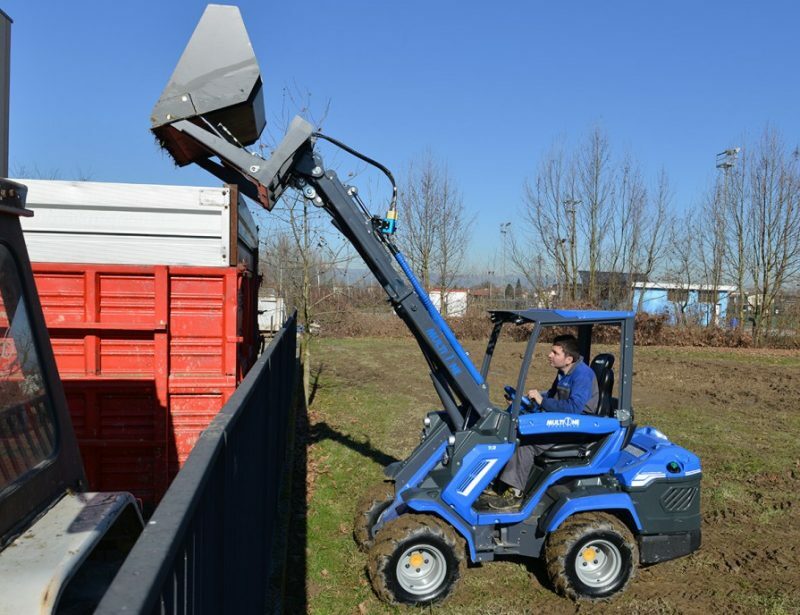 Need more flexibility with attachments? 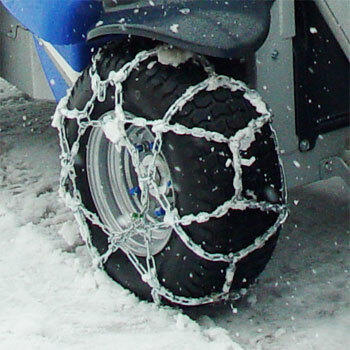 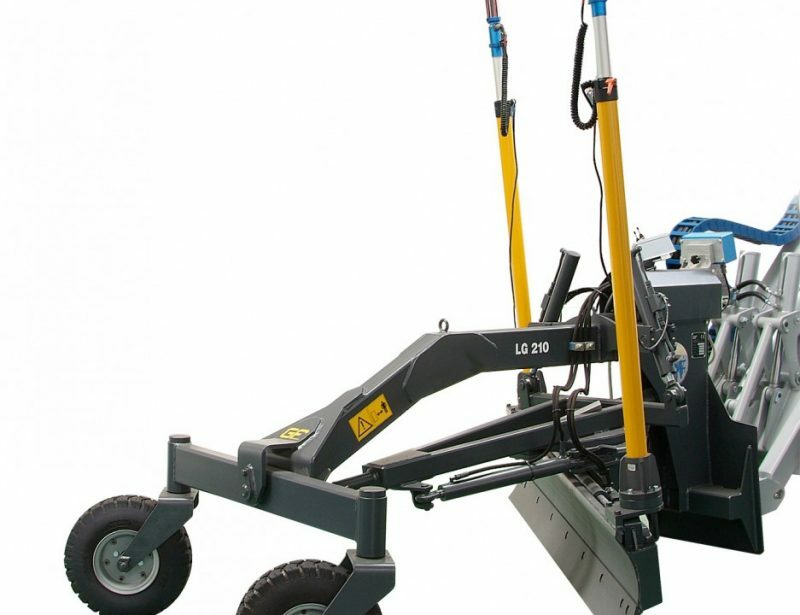 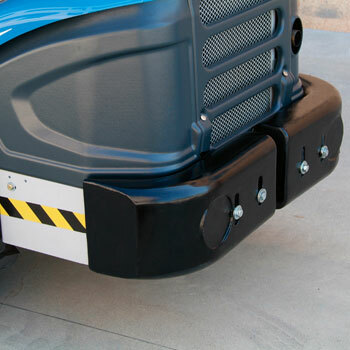 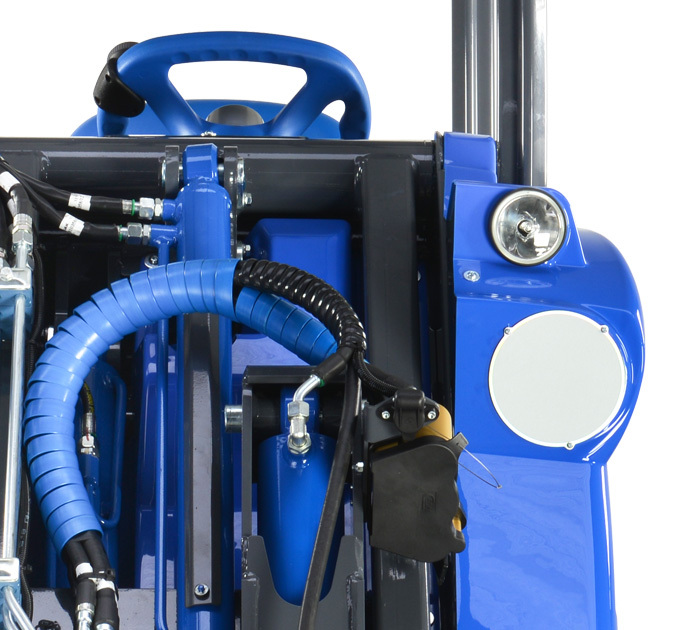 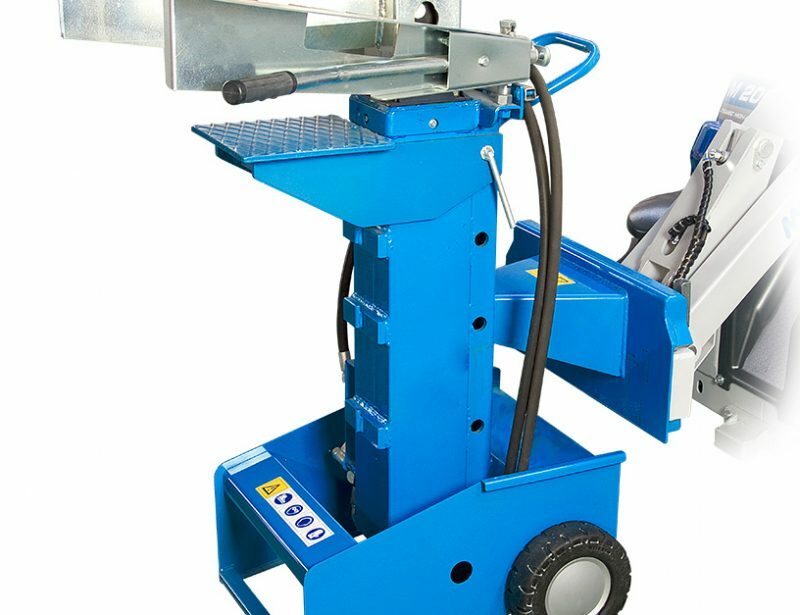 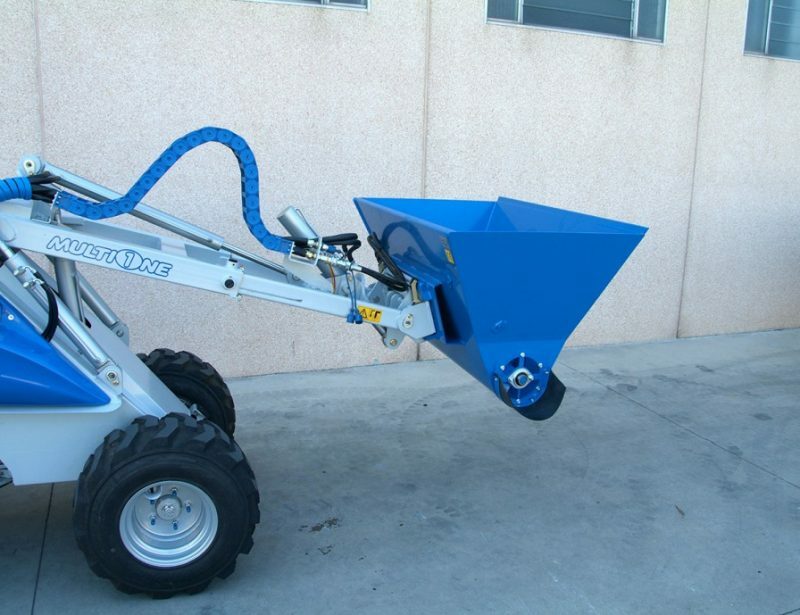 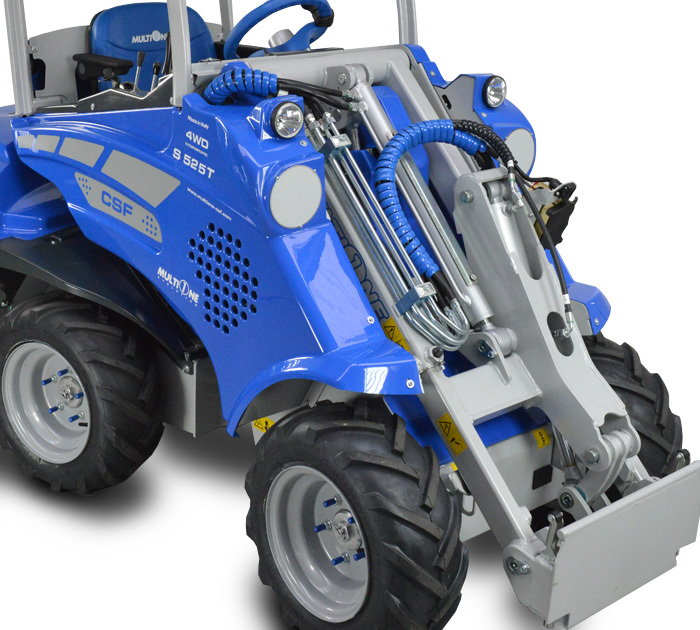 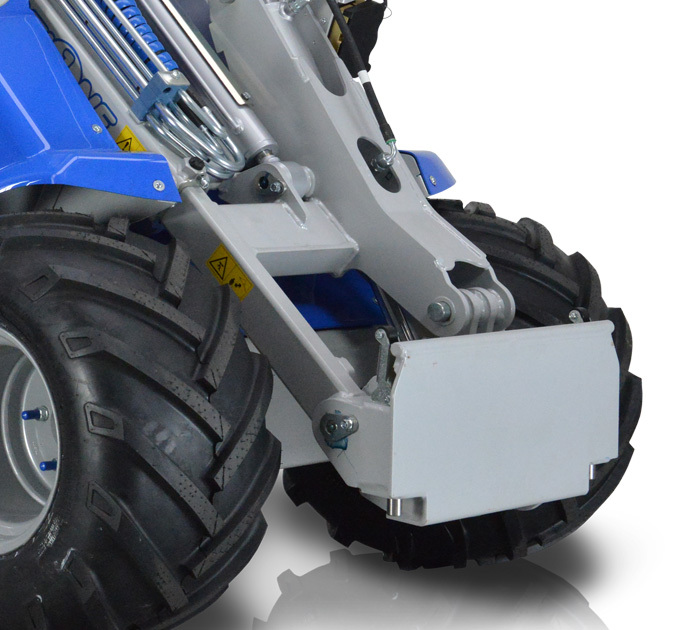 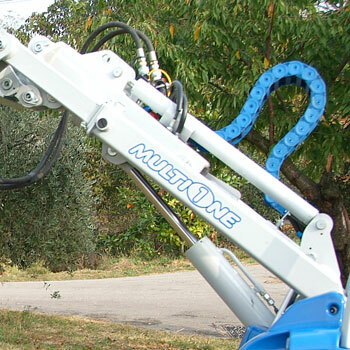 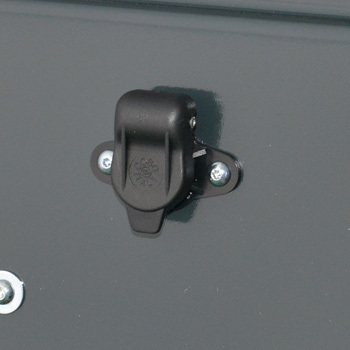 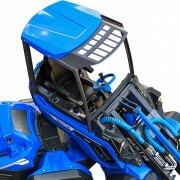 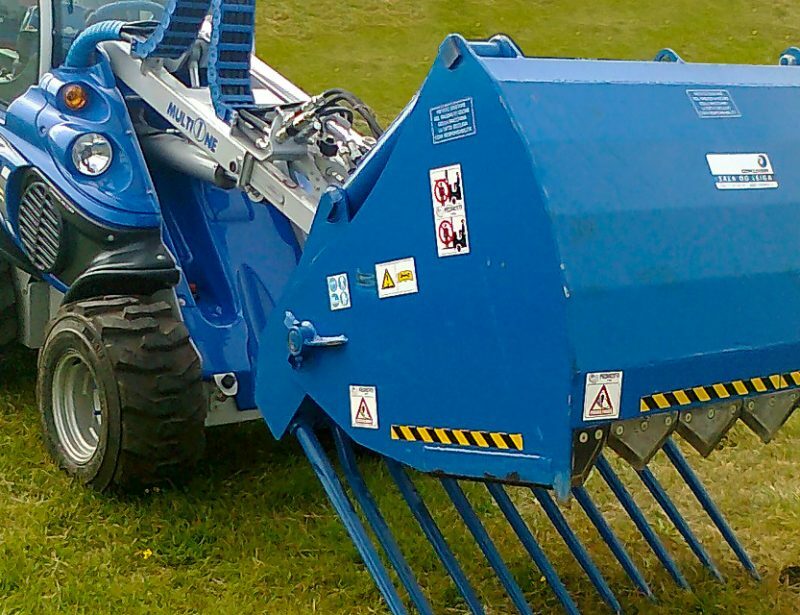 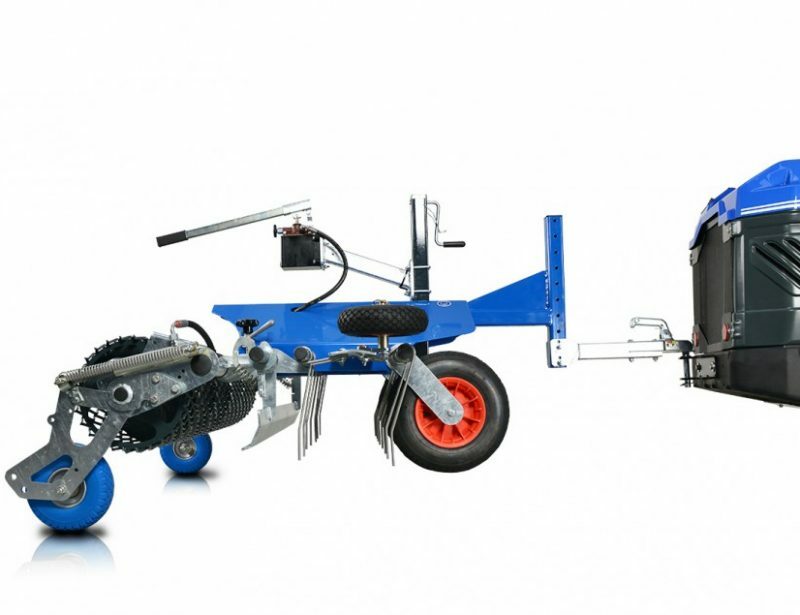 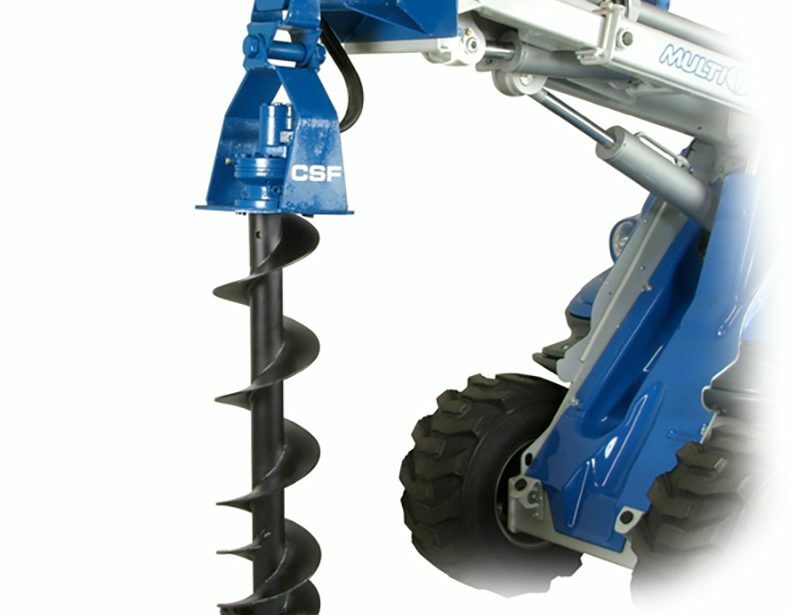 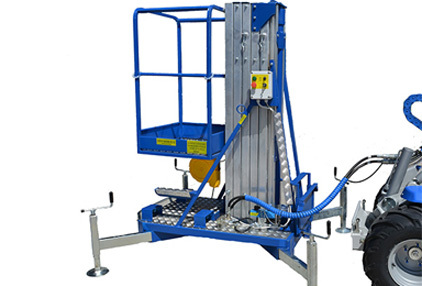 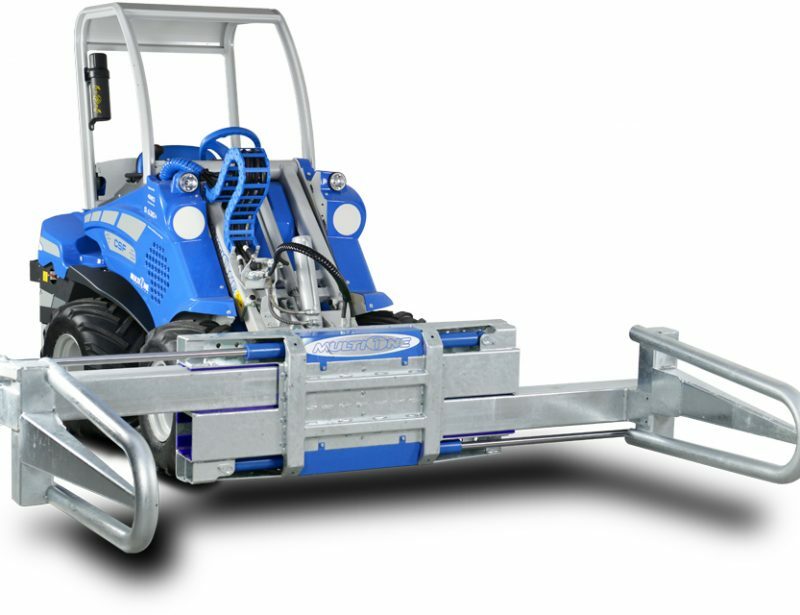 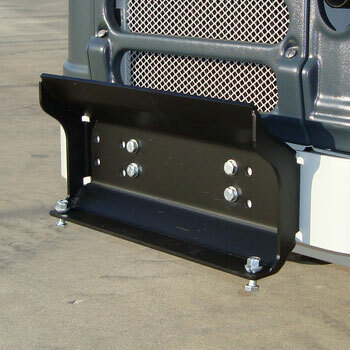 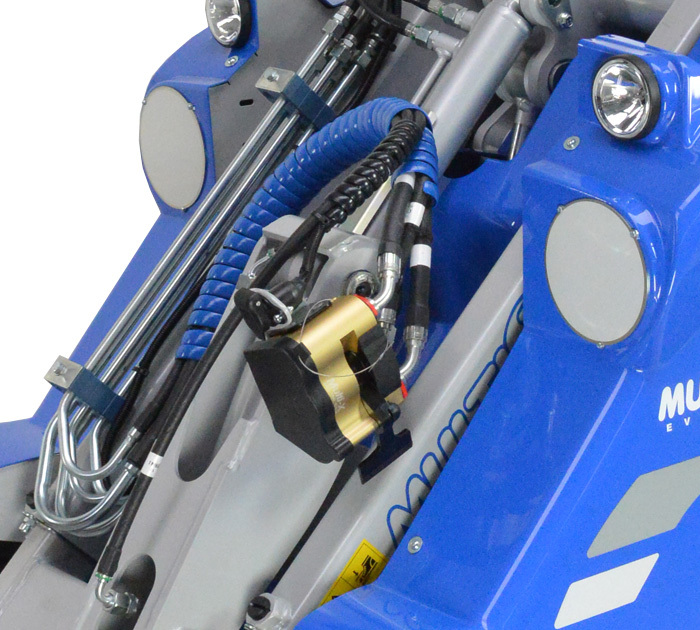 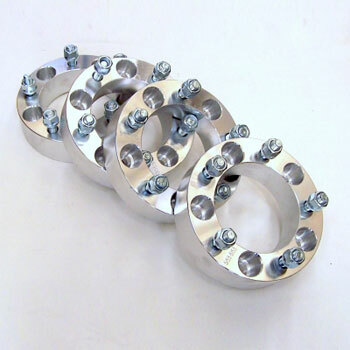 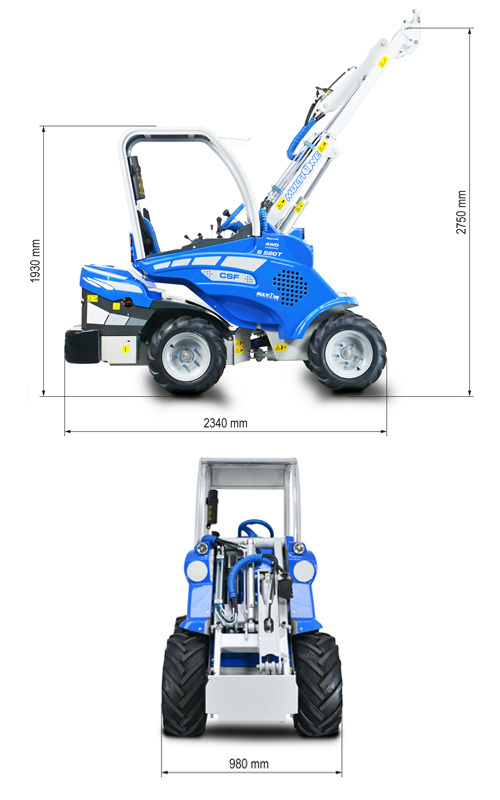 Add a telescopic boom, rear hydraulic outlet, trailer coupling or a multi connector adapter for three line or aftermarket connections. 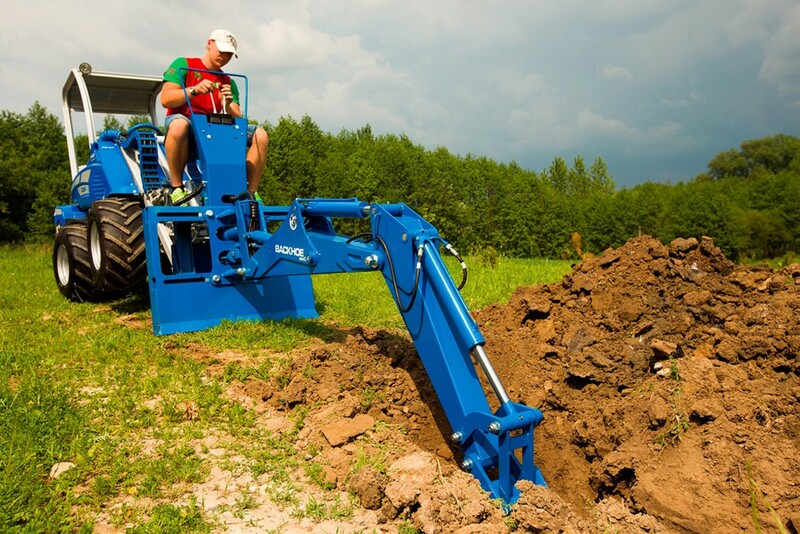 Working on difficult terrain? 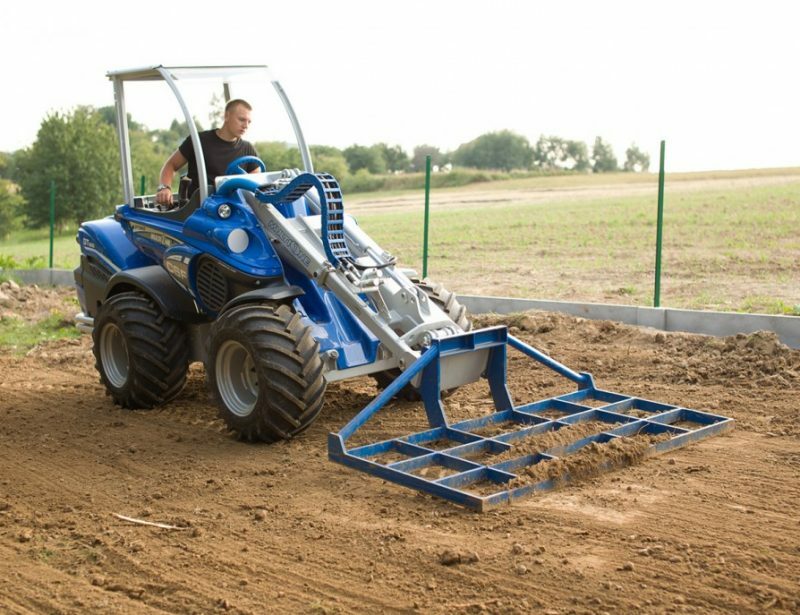 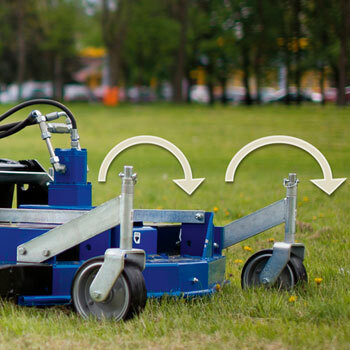 Add the dynamic block system, self-leveling system, or floating boom valve for more stability, or switch to one of 5 tire options to better grip the surface you’re working on.